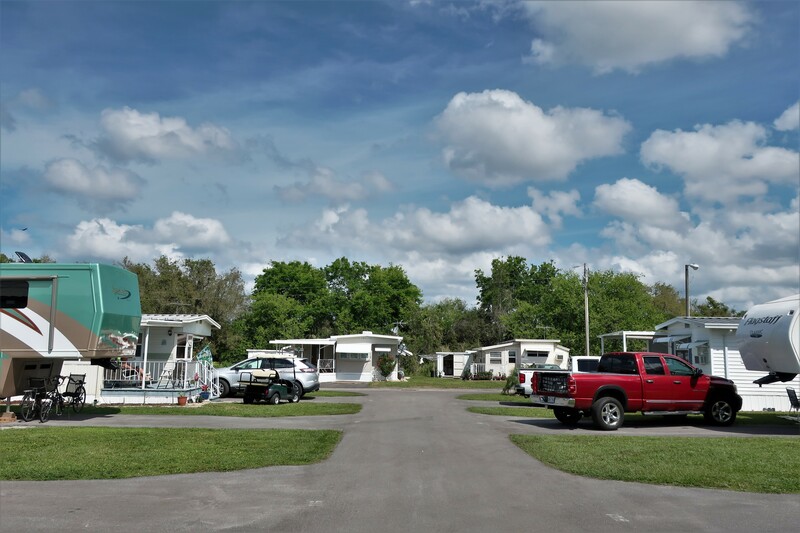 Friday, March 8, 2019: This morning we depart from Country Aire Estates in Dade City, Florida following a thoroughly enjoyable week camping and chuming around with our Maine (no pun intended) friends Jeff and Catherine. Departed at 1053 under sunny skies and a balmy 80 degrees with a light wind. Found our way to US-301 which we took to the south before intersecting with I-75. 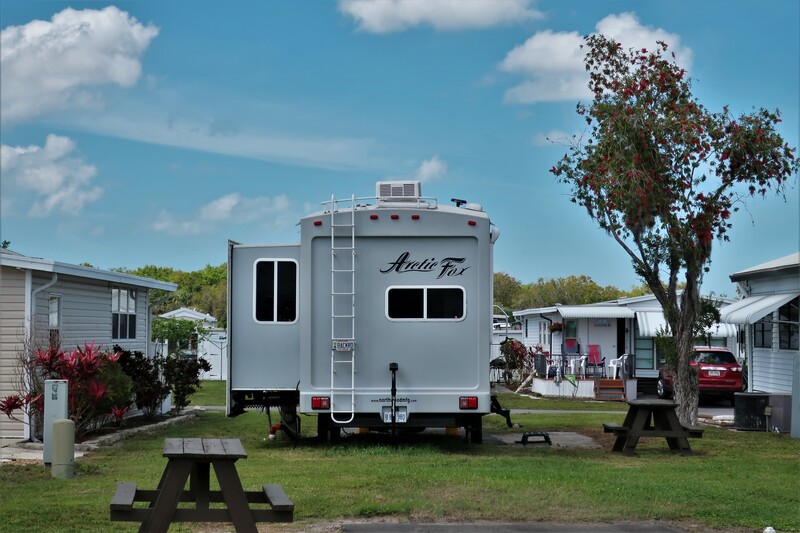 Ninety minutes later we merged onto I-275 North and within another ten minutes pulled off the Interstate into the town of Palmetto, and our base for the week…Fiesta Grove RV Park. Where we set up in a small lot amongst mostly mobile home style units. 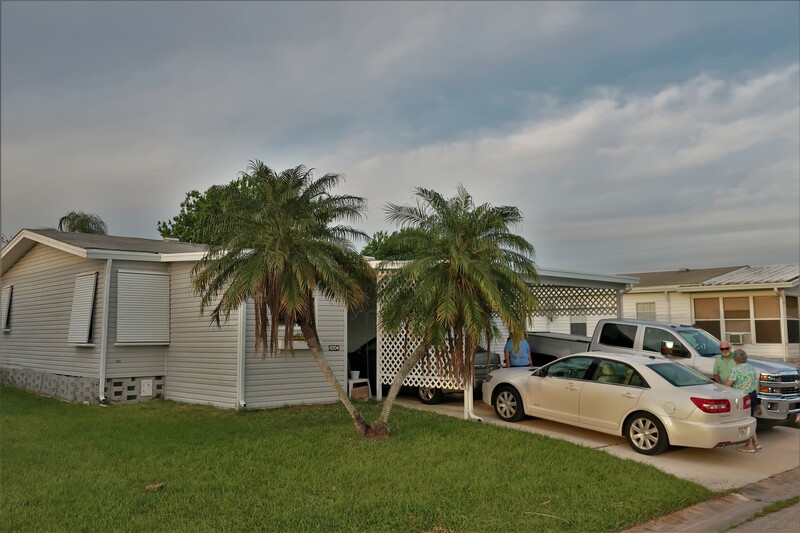 This older park is like many in Florida as it features lots for rent on an annual basis, so folks can anchor a park model trailer or some other type of small manufactured home and attach so called Florida Rooms for more living space. Not the nicest park of this type we’ve stayed at, but the residents are pleasant, and the park is neat and clean…it’ll do for the week. 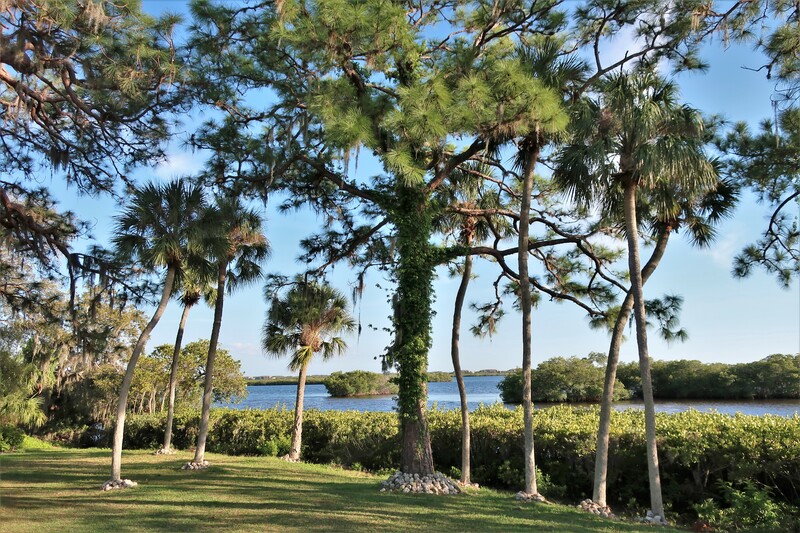 And even in this landlocked park, the classic Florida sunsets can be enjoyed over the surrounding homes. 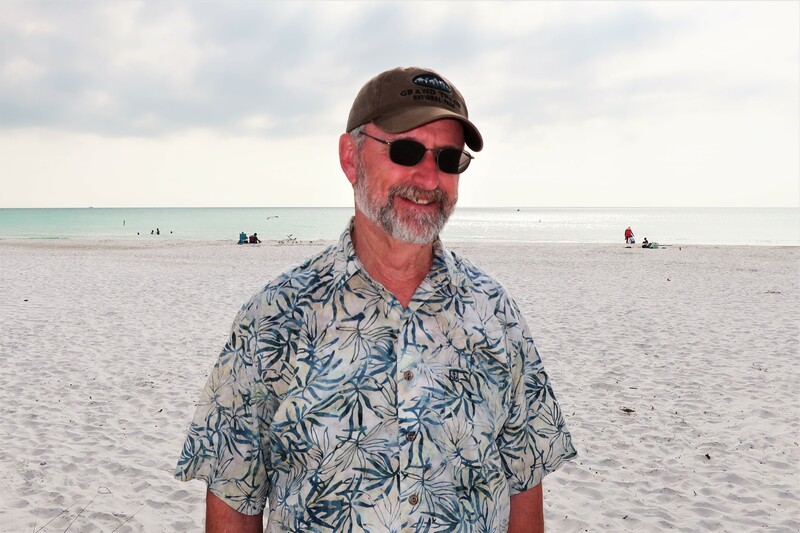 Saturday, March 9 through Thursday, March 14, 2019-Palmetto, Florida: Decided to come down to this area in order to spend time with some Maine expatriates…Sterlin and Pat. 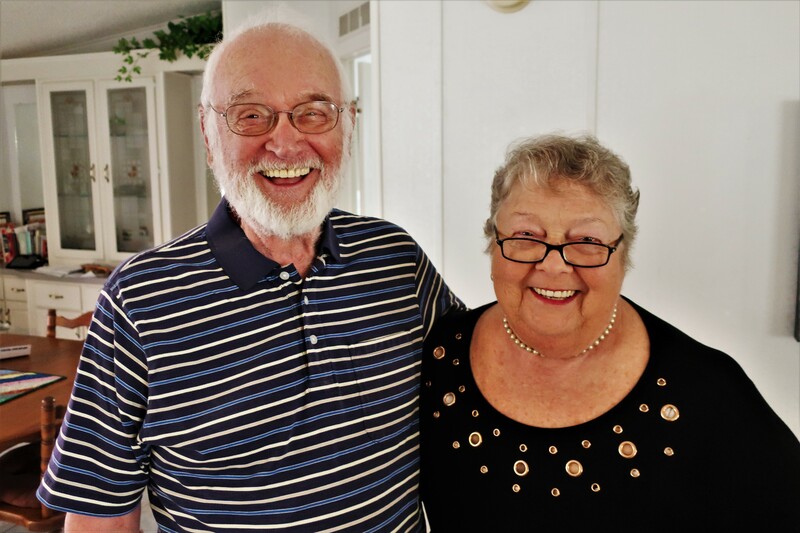 Although Maine natives, these dear friends decided to become residents of The Sunshine State and then reverse snowbird back home where they reside in a beautiful lakeside cottage. 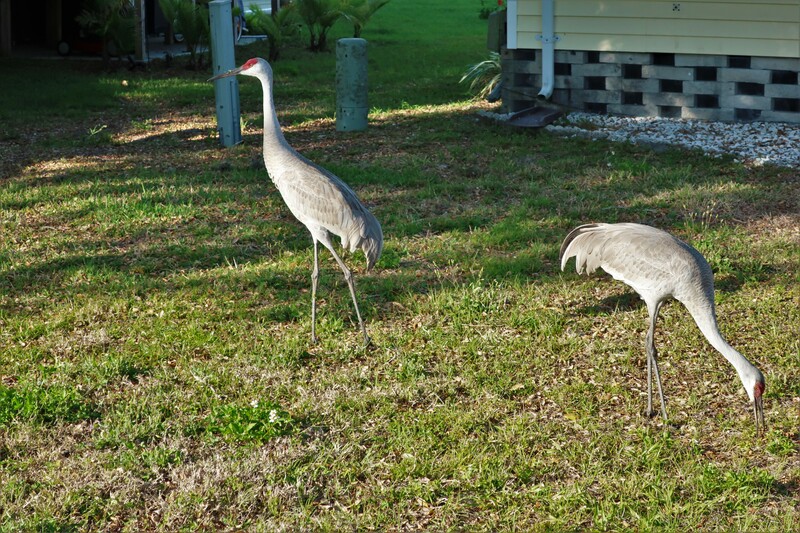 …such as the Sand Hill Cranes shown above. 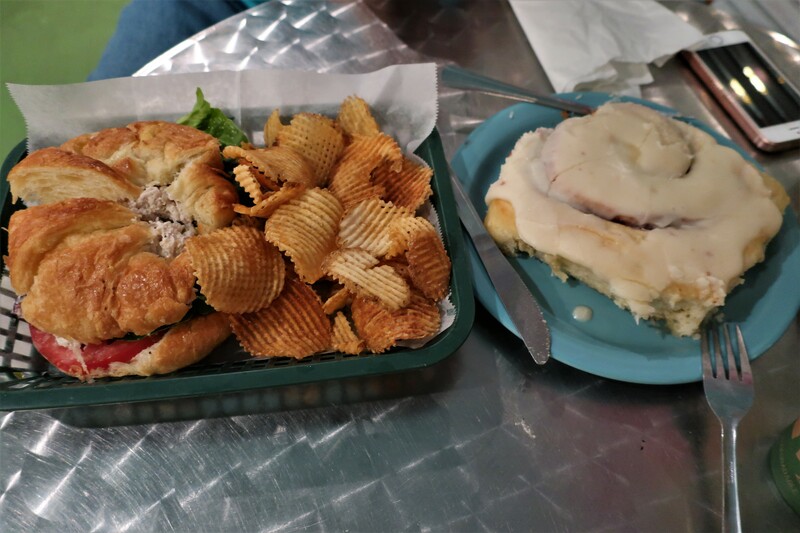 While in the area, we enjoyed a lot of activities…and of course food was paramount! To this point, the four of us met up with Betty and David, another couple of Maine expatriates who live full time in a nice community an hour north. 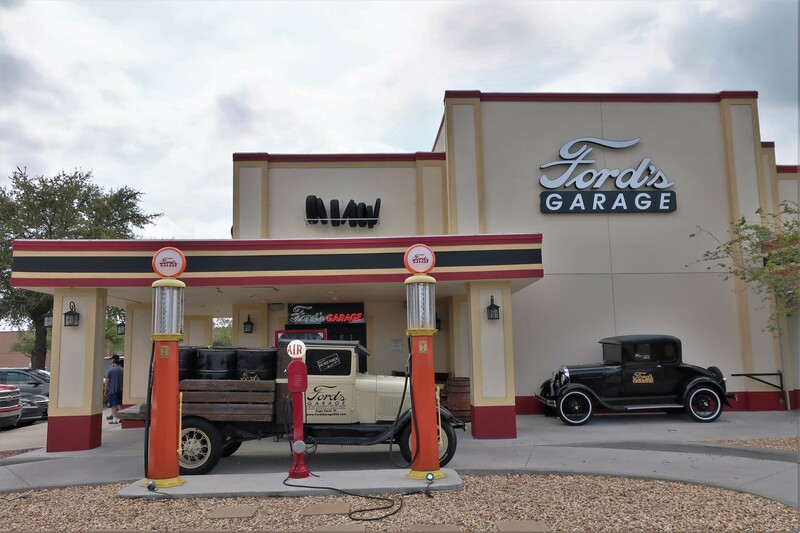 …Ford’s Garage, a regional chain of comfort food joints with a heavy theme of the iconic Ford Model A. In addition to the cars, the place was decorated with dozens of Model A parts and engines. Even the lavatory had distinctive automotive touches. I think everyone enjoyed the ambiance, companionship, and food. 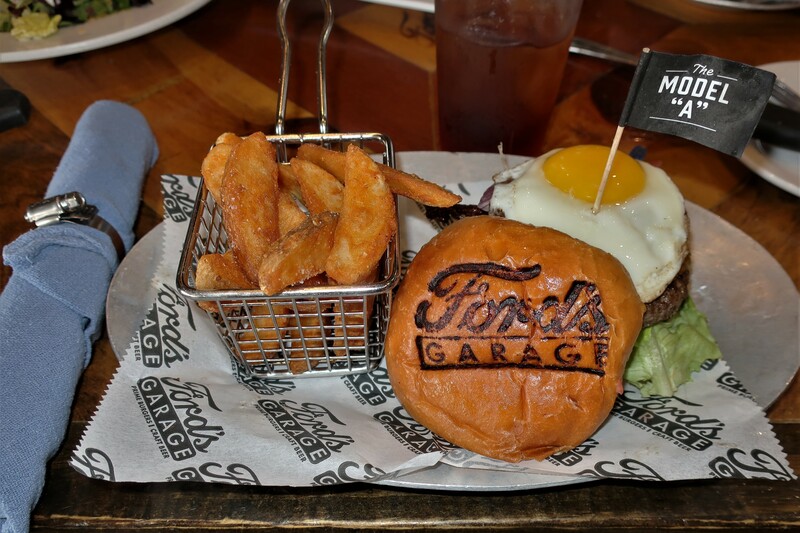 Yep, that’s a fried egg on that burger, and note the use of a shop towel for napkins and the hose clamp for the napkin ring…automotive themed to the tiniest detail! 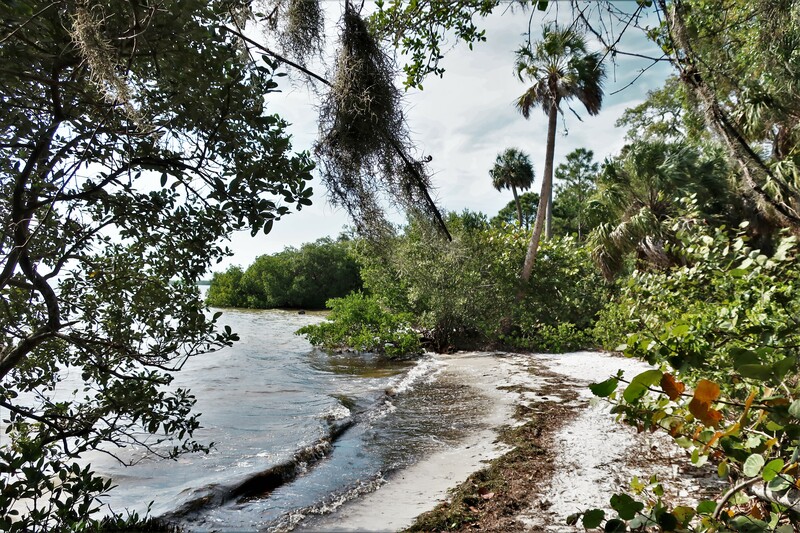 … located on a peninsula that juts out into Tampa Bay…. 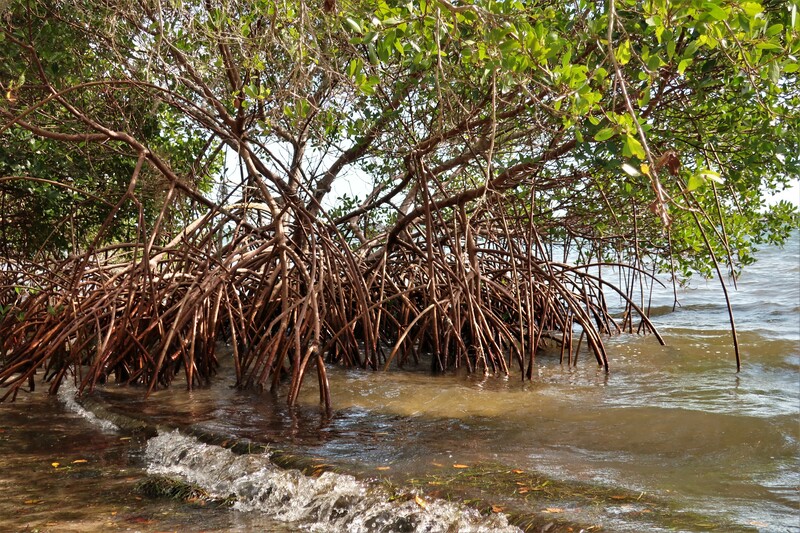 …a shrub that grows in salt water and creates a habitat for numerous shore birds and aquatic animals. On one day that Pat and Sterlin were free of other obligations, we met up at the nearby South Florida Museum located in Bradenton. Where the history of the ecology and inhabitants of this region were on display. However, surprisingly there were no dinosaur bones in the museum. That’s when I learned that when these giant reptiles roamed the earth, Florida was mostly underwater! 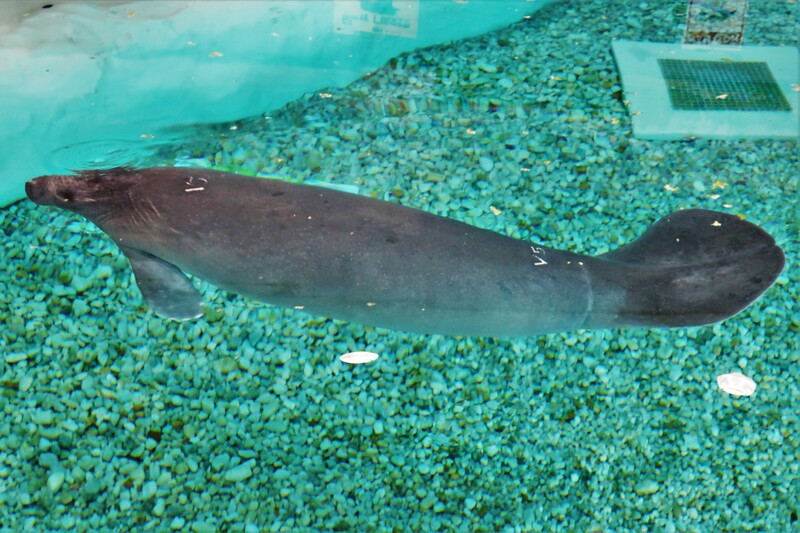 A special mission tasked to the museum is the rehabilitation and reintroduction to the sea of sick or wounded Manatees. 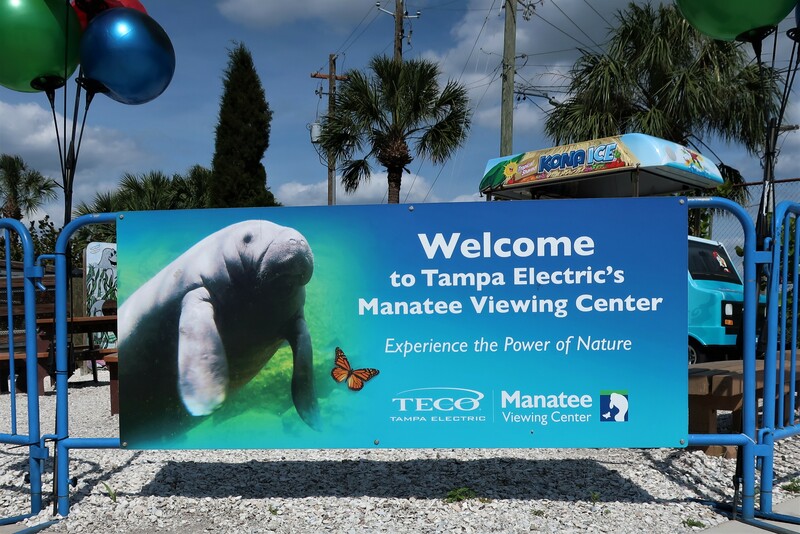 The Manatee is a large aquatic mammal that eats primarily vegetation. Also called Sea Cows, or locally as Chubby Mermaids, the Manatee can grow to 13 feet long and weigh over 1,300 pounds. They graze in shallow water making them frequent victims of boat strikes…hence the need for rehabilitation centers. Manatees primarily reside in the ocean, but visit fresh water sources in search of food, and to help lower the level of salt in their bodies. See, even Chubby Mermaids are health conscious! 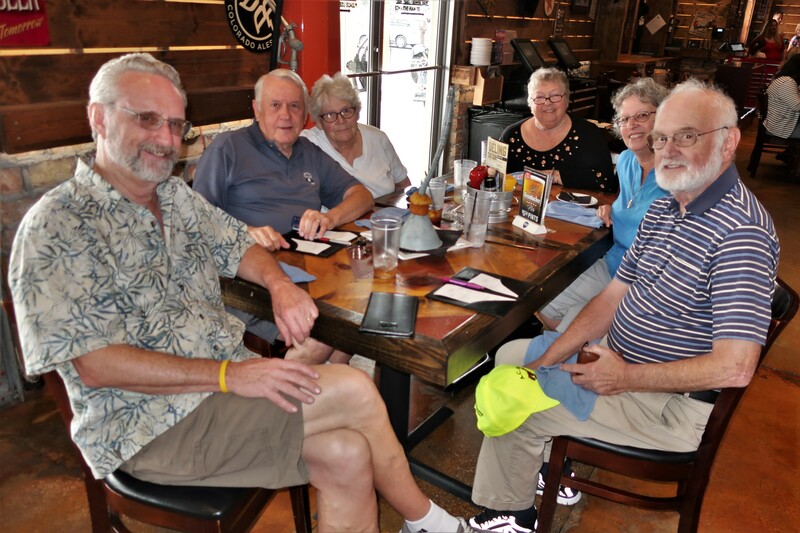 We enjoyed touring the museum, but now it’s time for lunch…yep, there’s always time for food! So off we went to Pier 22 Restaurant, surprisingly located down the street on pier 22. Where we enjoyed more visiting and some of Florida’s excellent seafood! 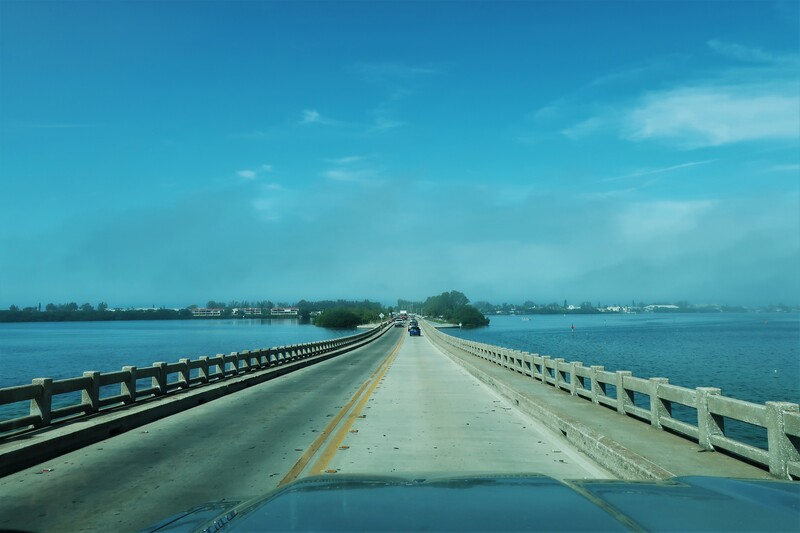 One morning in town, Kit wanted to explore Anna Maria Island, a peninsula that juts out into the Gulf of Mexico south of Saint Petersburg…so one foggy morning we set off. However fortunately by the time we reached the causeway leading to the island the fog began to lift. 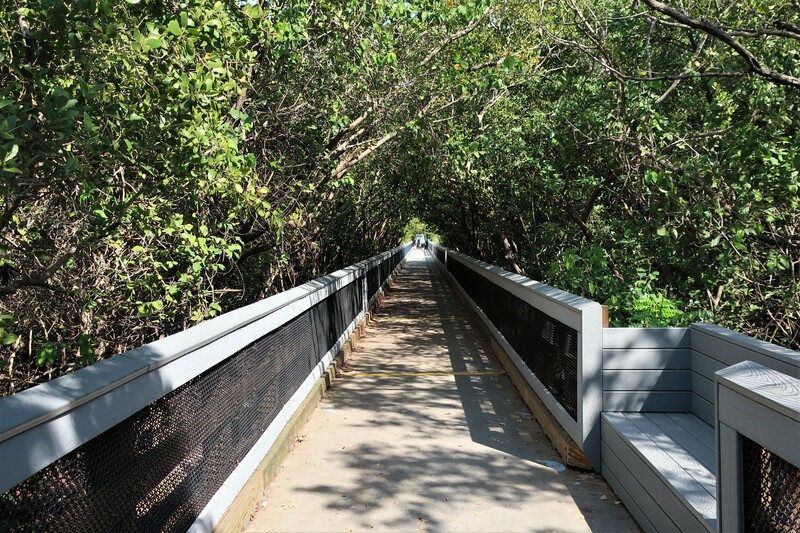 This seven-mile-long barrier island is partly a bird and sea turtle sanctuary. 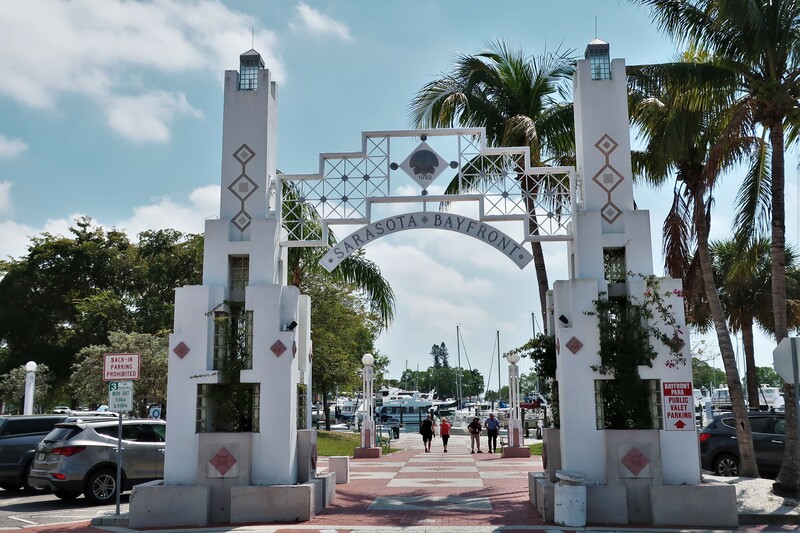 However, the main industry in the village of Anna Maria is tourism, with quaint little shops and restaurant’s lining the main street of Pine Avenue. While Kit shopped, I rambled about in search of photo opportunities, and came across a small historic district with a few unusual structures. In 1927, Town Mayer Mitch Davis built this open-air jail to temporally house citizens and tourist who became overly inebriated and set about disturbing the peace. The doorway, windows and roof were originally all steel bars, which allowed the voracious nighttime mosquito population to enjoy a feast and teach those incarcerated an unforgettable lesson…rural justice at its best! 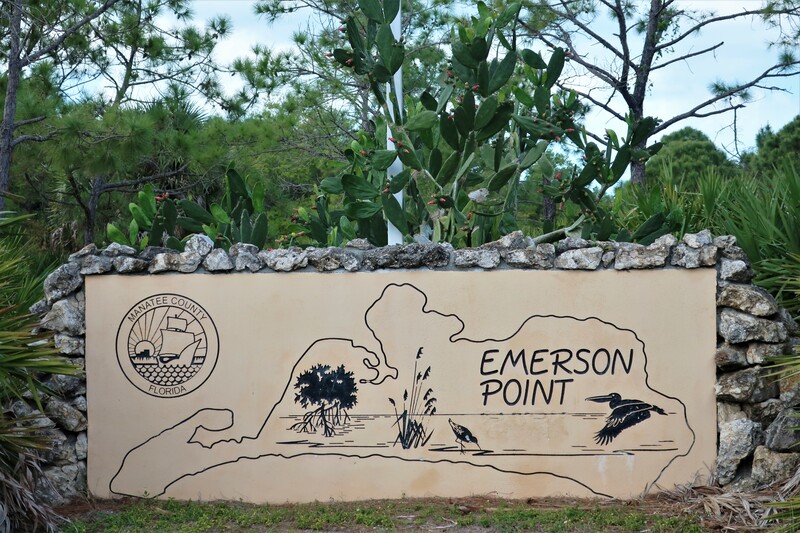 A proper jail was constructed on the island years later and this one was painted with catchy slogans as a tourist attraction. Next to the old jail was this handsome cottage. 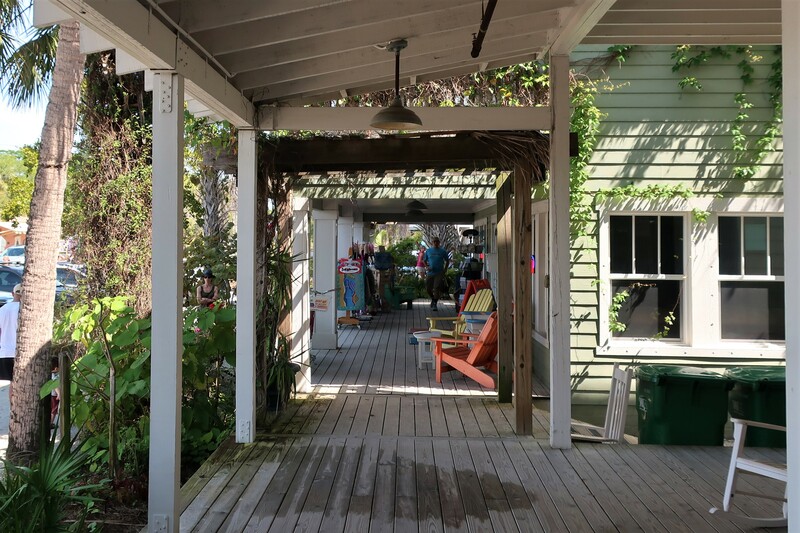 Known as Belle Haven, it was originally built in 1920 with similar cottages on the town pier as tourist lodging. 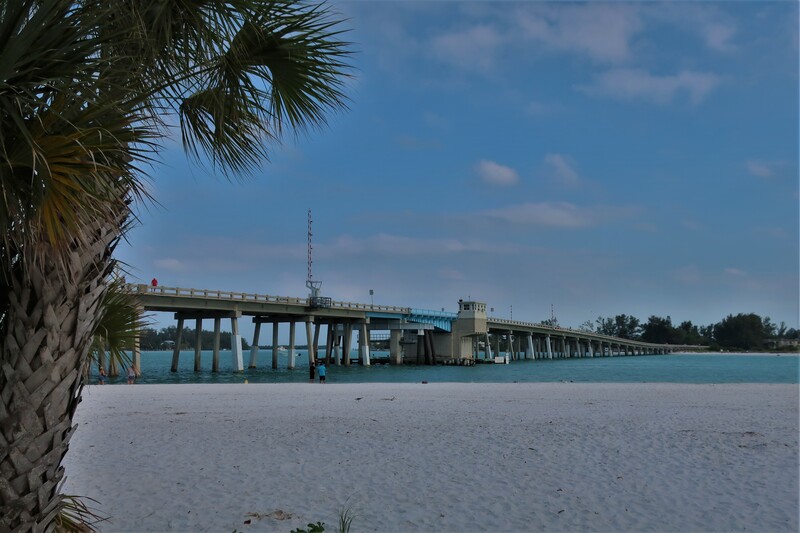 However, six years later a major storm battered the pier and all the buildings were swept into Tampa Bay where most broke up and washed ashore as firewood. 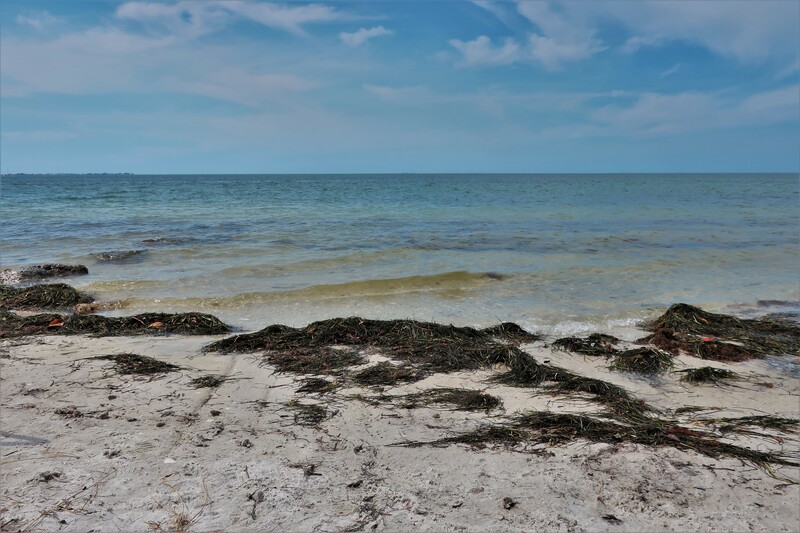 Local legend has it that Belle Haven remained intact and floated into a protected part of the bay where a guest emerged and walked ashore. 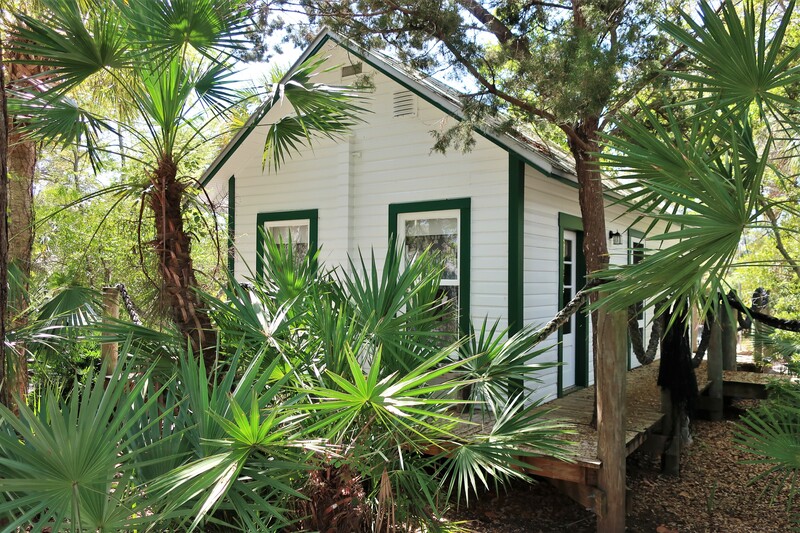 The cottage was soon sold to a local for $125.00 and he relocated it on the island as his residence. 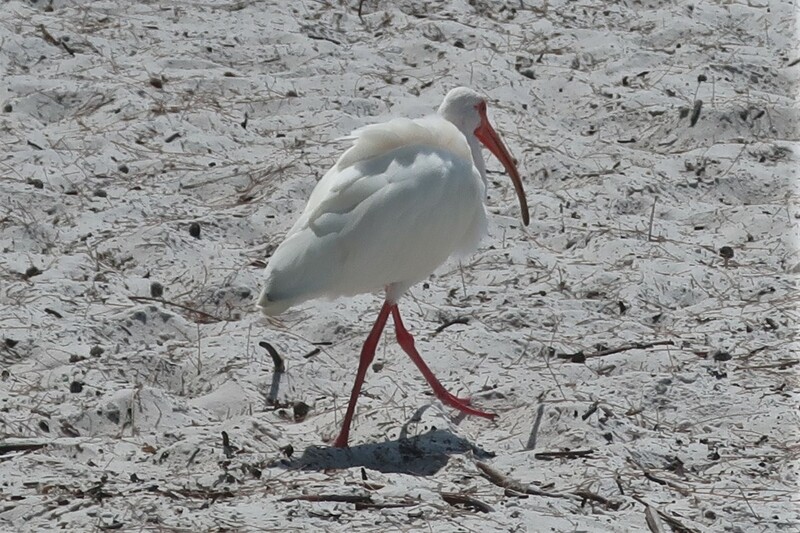 …strut about enjoying the warm sunshine. What would a Bill and Kit exploration trip be without food? On this day, we learned of a quirky local hangout called Ginny’s and Jane E’s. 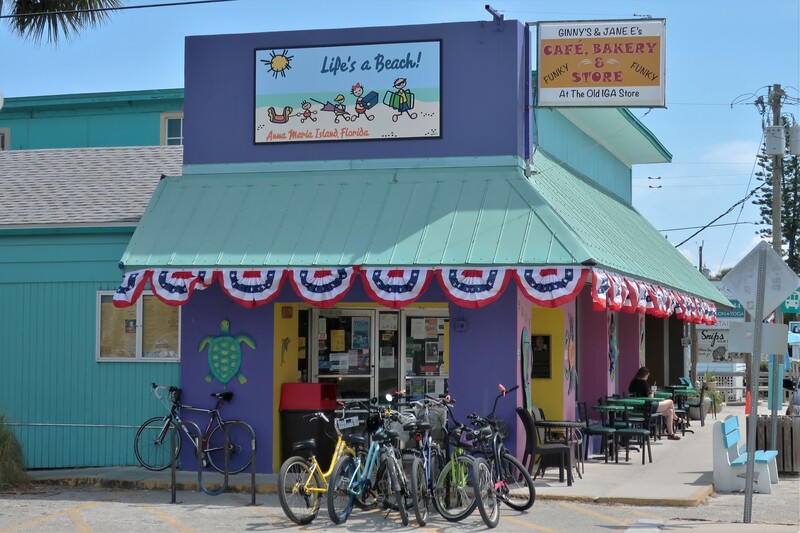 A repurposed IGA market, the Café, bakery and gift shop has a loyal following and serves some great breakfast and lunch fare. 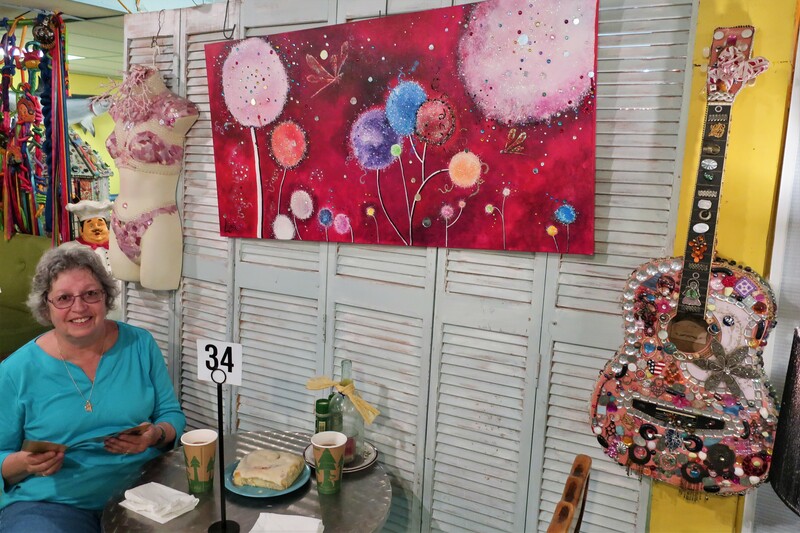 Which one enjoys at antique tables surrounded by funky wall art. An interesting dining and visual experience! … to see if any Manatee’s were being drawn upstream by the warm discharge into the sea by the outflow of cooling water from the plant. 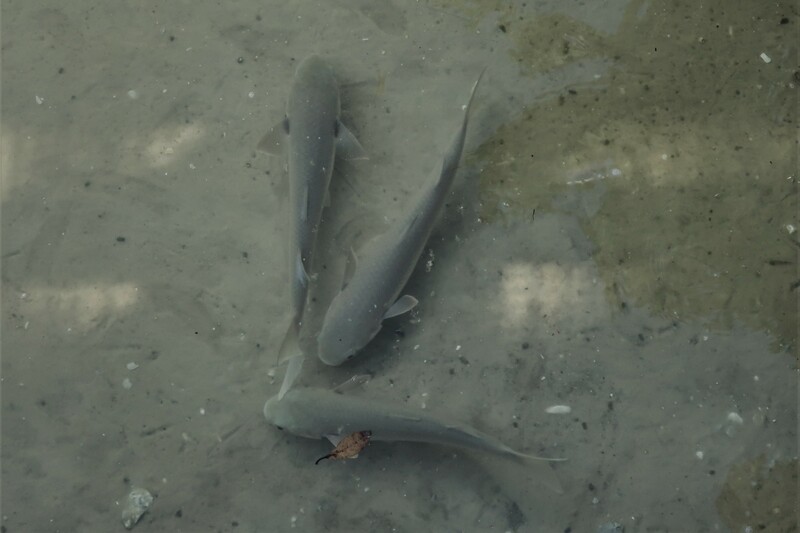 …alas, no Manatee’s, just these Mullets cavorting about under the pathway. Sterlin did point out several areas where the surface water was being disturbed by some sort of aquatic creature, he surmised they may by Manatee’s, I’ll take his word for it. 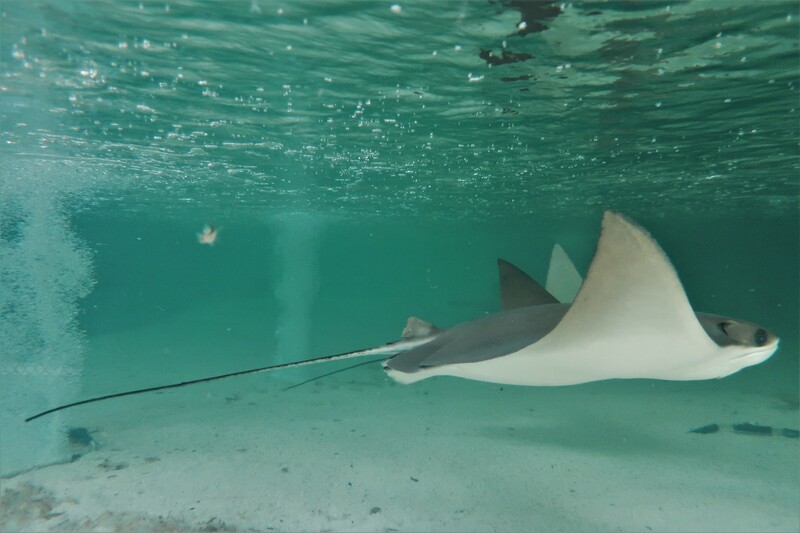 …which seemed to like being stroked by humans, as whenever they circled the tank and came near a person, the Ray’s rose and slowed to allow touching…their skin felt a bit like rubber. 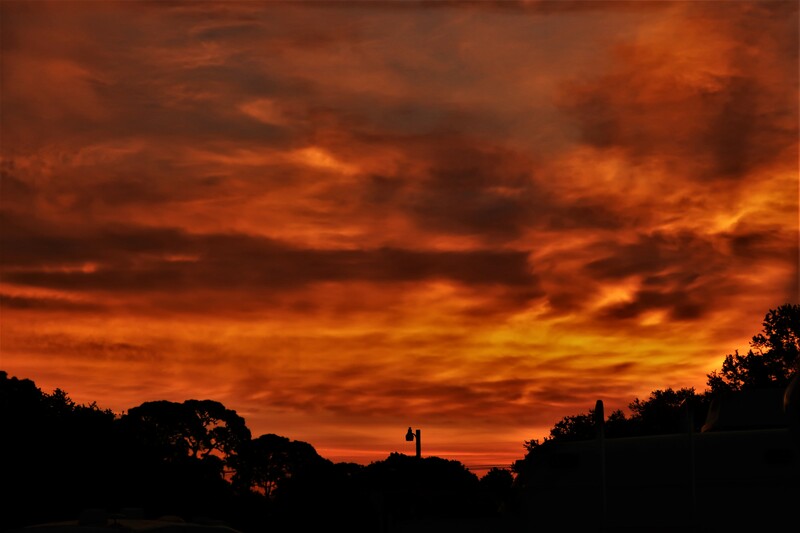 Returning to Colony Cove to enjoy snacks and retrieve our truck, I noticed this nice sunset down the street from Pat and Sterlin’s place. Woke to overcast skies and we (I) decided it was a good day to see some collector cars. Like Southern California there is a vibrant car culture in South Florida with many unique automobiles on the road, and plenty of upscale car dealerships and museums about…one of which I toured while Kit engaged in some local retail therapy. 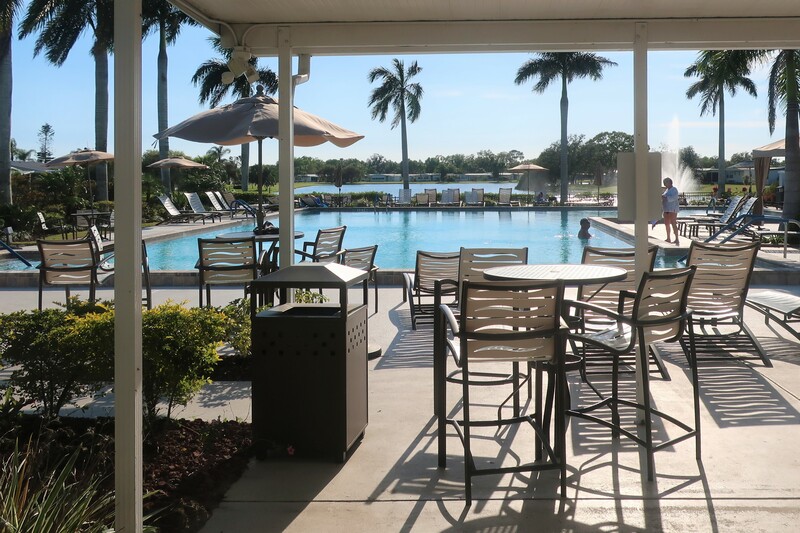 Located in the resort town of Sarasota, the museum is the result of one man’s passion that outgrew his ability to store his collection at home. As a result, this building was constructed in 1952 and is recognized as the second oldest private car museum in the nation. 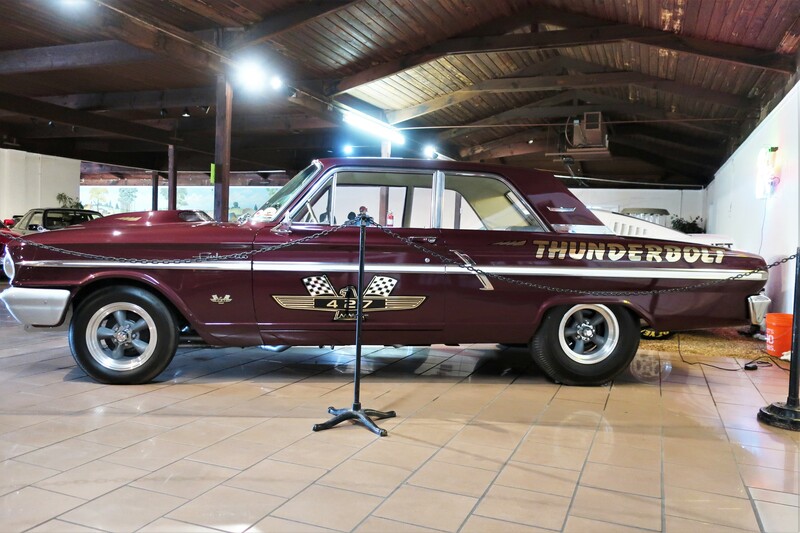 With over 75 automobiles on display and about that many in storage or undergoing restoration, the collection is very eclectic with examples of some interesting vehicles…such as this 1964 Ford Fairlane Thunderbolt. Ford wanted to get back into drag racing, and rather then support a team, decided to produce their own drag cars. Only 100 of these factory racers were produced, each with a 427 CID engine and dual four-barrel carburetors which produced a whopping 600+horsepower. The car was lightened by deleting all parts and accessories that were not essential to its purpose which rendered these cars ineligible to be registered…however a number of them did find their way to public streets. The museum also has some unusual one of a kind automobiles, such as this 1937 Gougeon Streamliner. 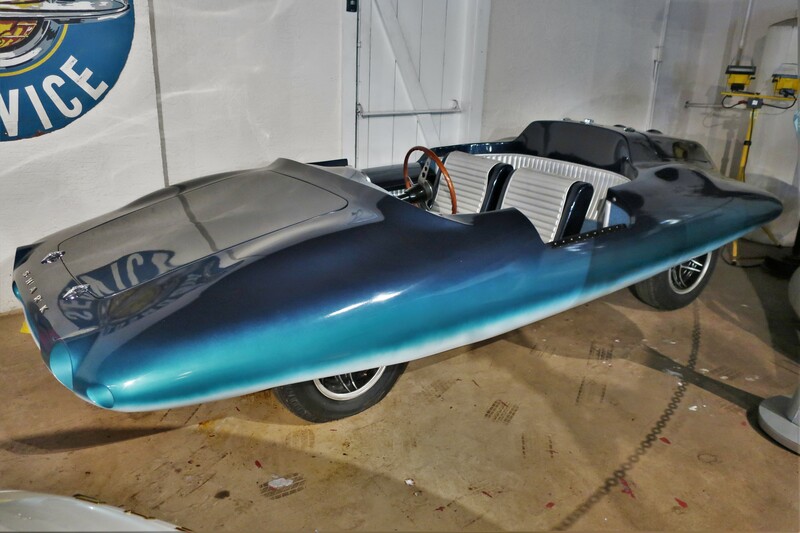 This odd-looking car was hand built as a prototype by a wealthy business owner in Michigan. The aerodynamic body was placed on a donor chassis with the drive wheels in front and the Ford Flathead engine in the rear. 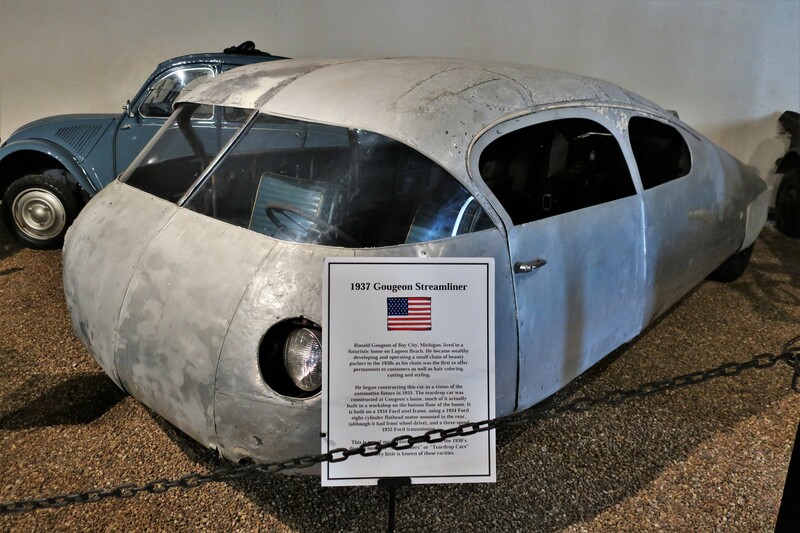 In the 1930’s, there was a push for modern looking fuel-efficient cars and several prototypes were cobbled together in backyard garages…many, like this example, never evolved beyond the experimental stage. Another futuristic car in the collection is this Shark Roadster. 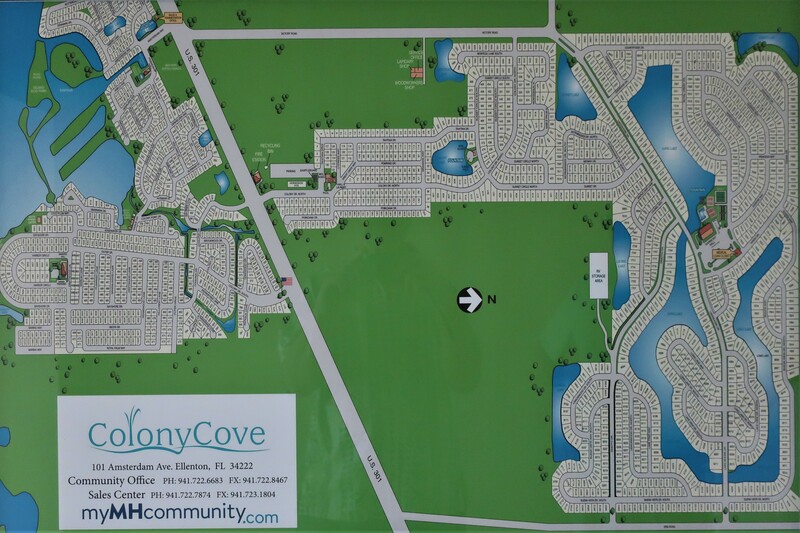 Designed in the early 1960’s by Industrial Designer and Florida resident Henry Covington. The roadster, along with a companion coupe called the Tiburon, was recognized in 1963 as the most aerodynamic automobile in the world. This notoriety encouraged Covington to go into production, and ultimately build twelve automobiles before his untimely death which caused the company to fold. 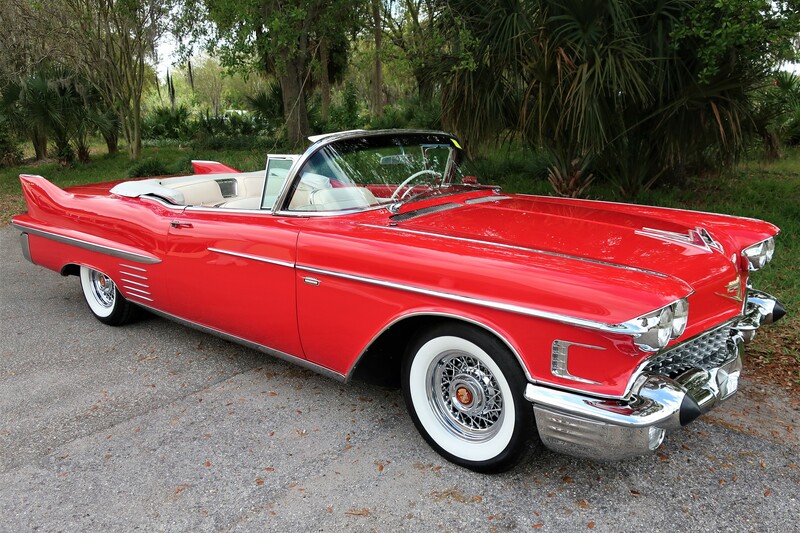 Other cars in the collection that found wild success were those produced by more established automotive manufactures in the 1950’s and 1960’s…such as this 1963 Cadillac. 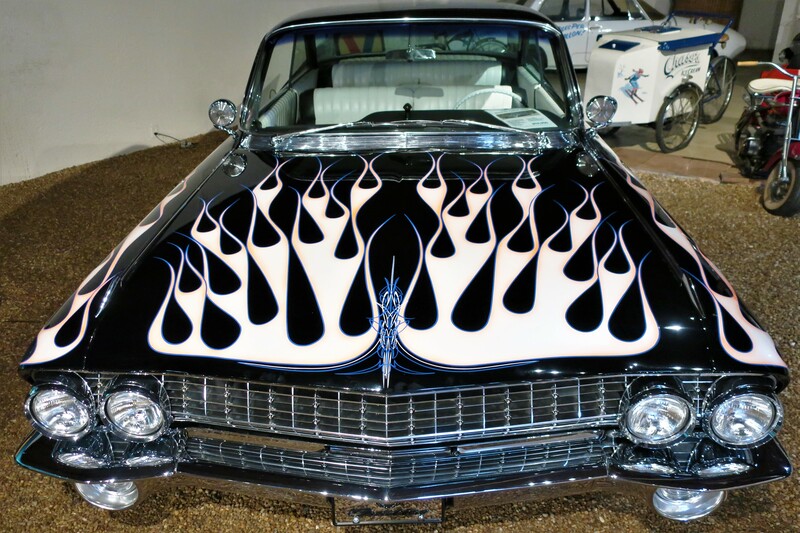 Which received fancy pinstriping and a flame paint job during its restoration. 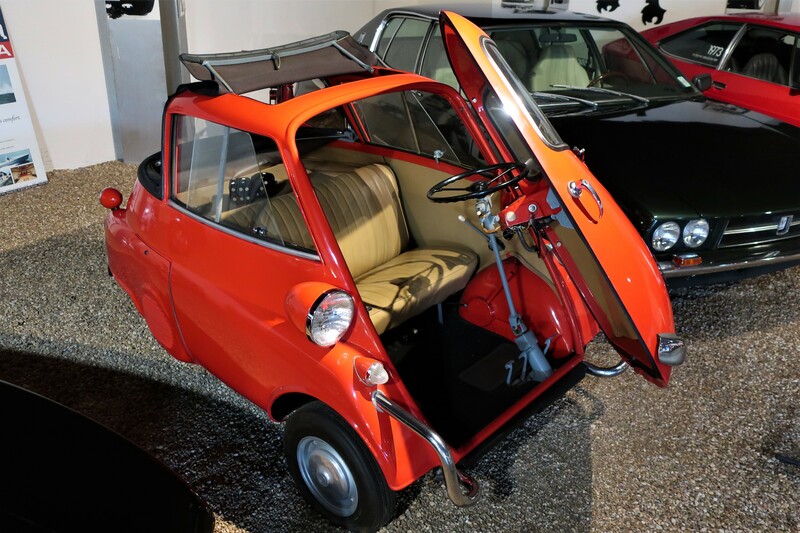 At the collections other end of the spectrum, size wise, was this diminutive 1957 BMW Isetta. Which held a special place in my heart as my mother owned a version of this strange vehicle whose only door was in the front. The five-foot-long car weighed under 800 pounds and was propelled by an anemic 18 CID motorbike engine producing 13 horsepower. 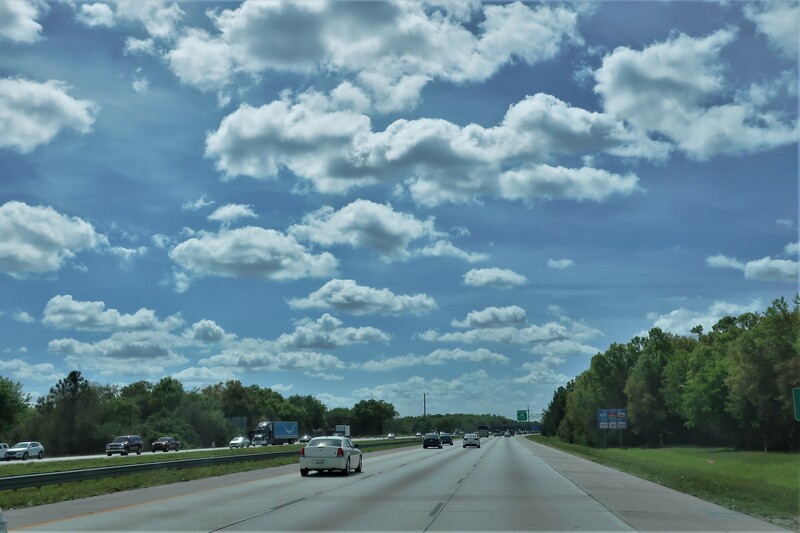 The small and lightweight car allowed my brother and I, along with a few other teenagers, to lift the car and place it in some unusual locations…much to the chagrin of my mom. 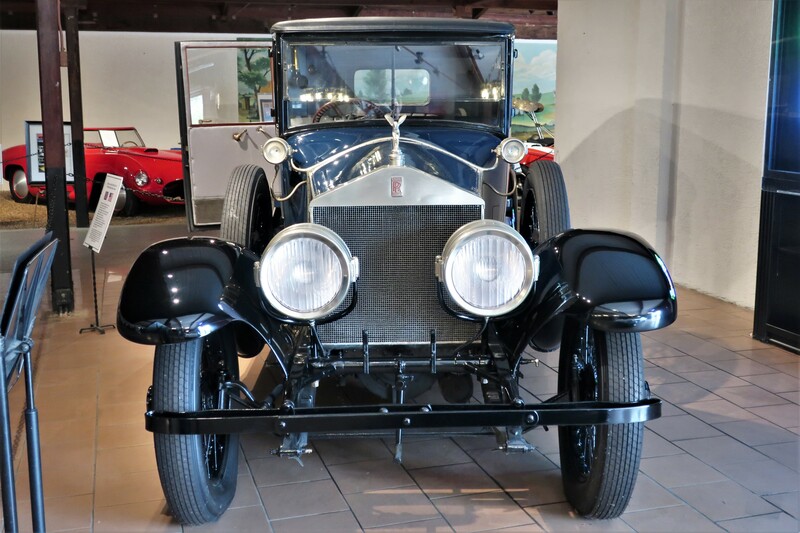 An historic vehicle in the collection is this 1922 Rolls-Royce Silver Ghost. Once owned by John Ringling of circus fame, it accompanied him via railcar to circus venues through the United States. 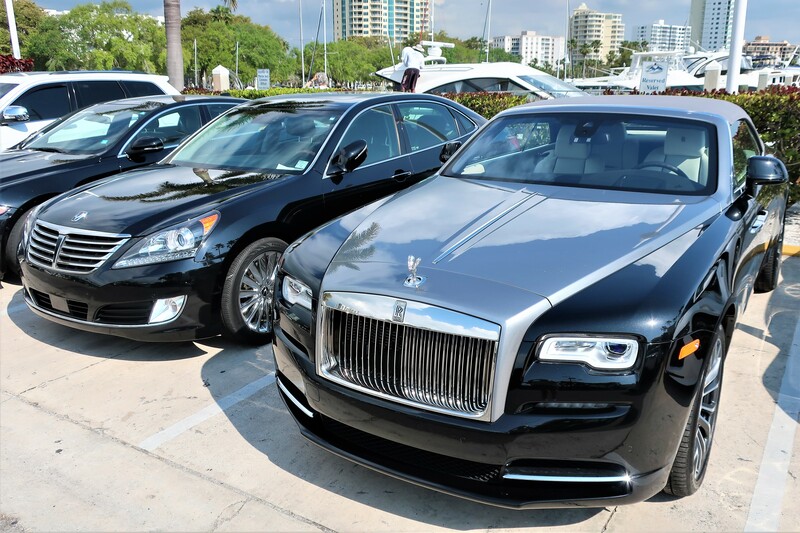 A unique Rolls, it was assembled in a factory in Springfield, Massachusetts from parts shipped over from England which cost far less in import tariffs than shipping a complete automobile. 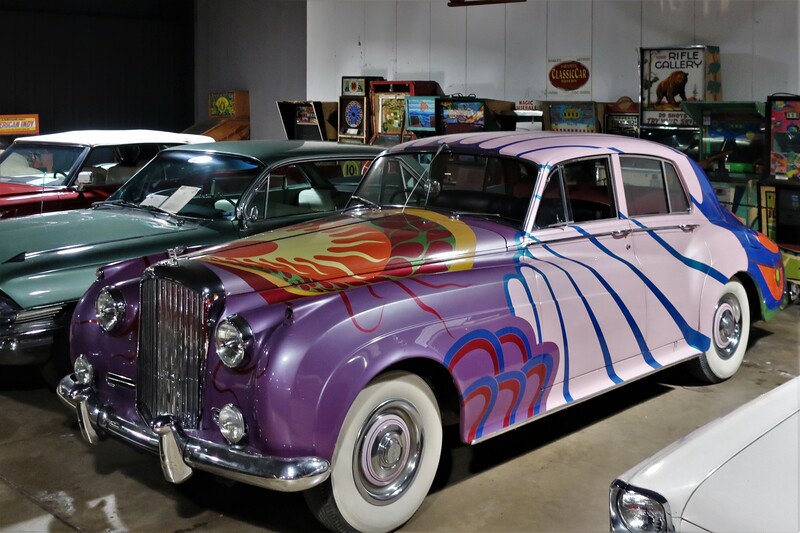 …which was designed and painted for The Beatles to use during their later US tour’s. I really enjoyed seeing these interesting classic and antique automobiles, but it was time to fetch Kit and find somewhere to have lunch…yep, food again! 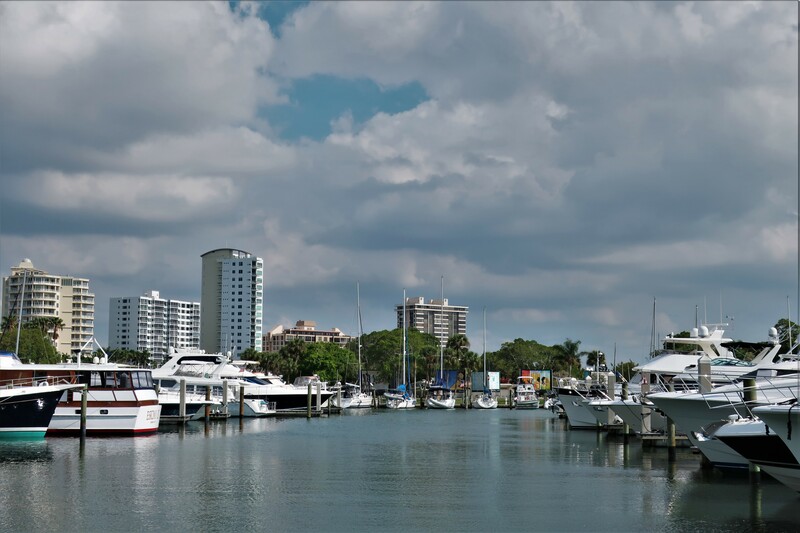 …where the highly rated restaurant Marina Jacks is located on the waterfront, and since the overcast had cleared, that’s where we decided to eat. 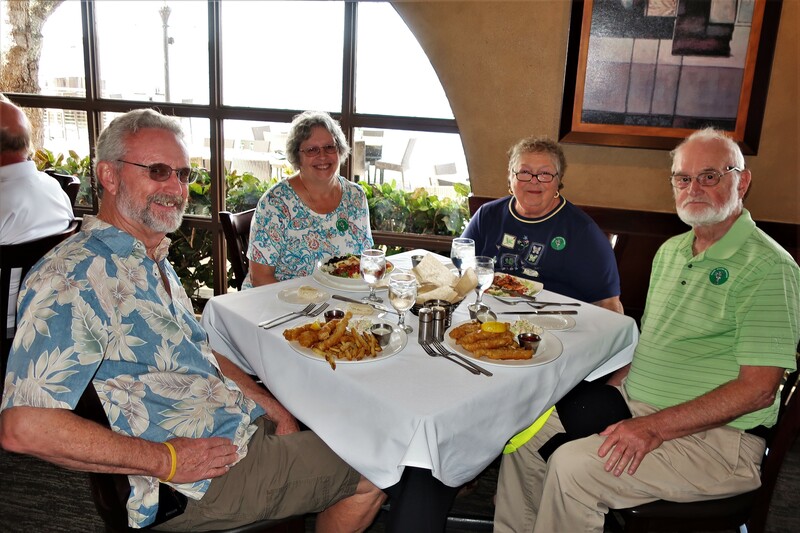 Since it was the classic blue-hair hour of 1500 hours, we were able to score a nice window table overlooking the marina, Jack! 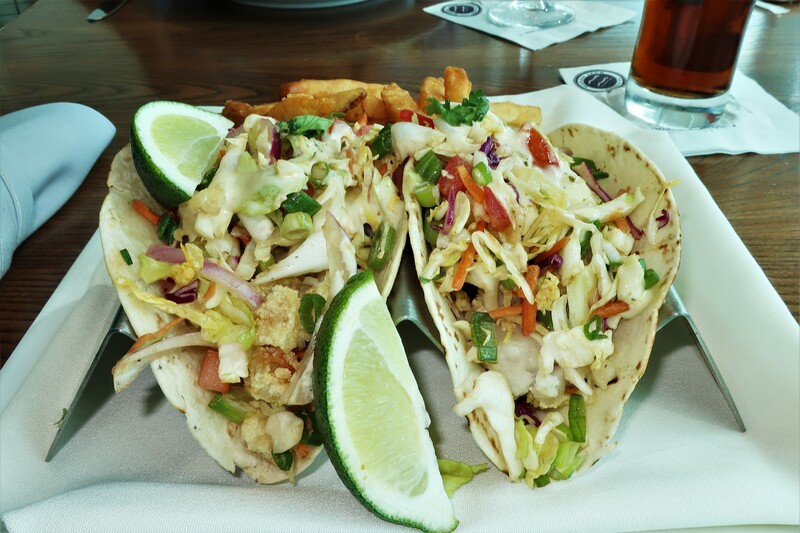 …and I went with the Alligator Tacos! Both meals were excellent, and by the way…alligator meat doesn’t taste like chicken either! 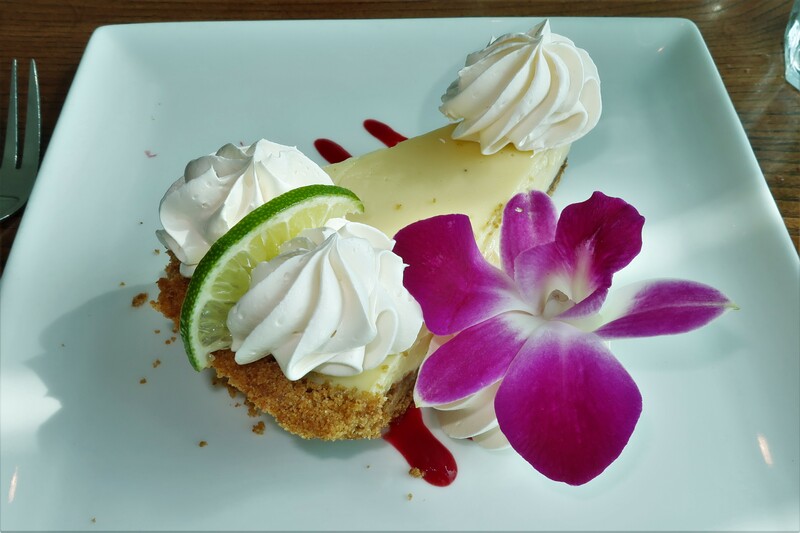 And, for desert we each selected Key Lime Pie. Which was every bit as good as the offerings we enjoyed in Key West many years ago! …so, I decided to take a closer look. 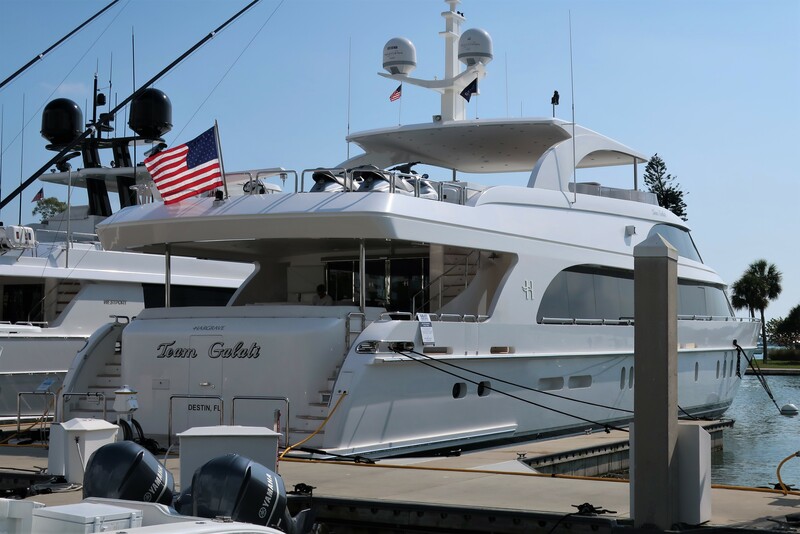 Gently used, and only $3,440,000.00 I quickly deducted that I could probably afford to make an offer on the American flag flying proudly from the stern…however, I doubt the yacht broker would be willing to sell it separately. 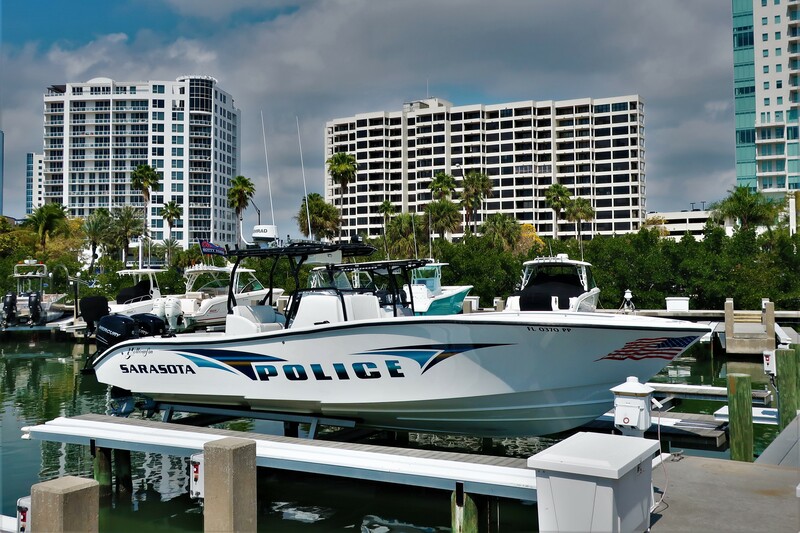 …and the local police department has a nice vessel parked at the ready as well! Walking back to the truck we passed the valet lot for Marina Jack’s and spied this high-end beauty. A late model Rolls-Royce which likely cost more than my home! 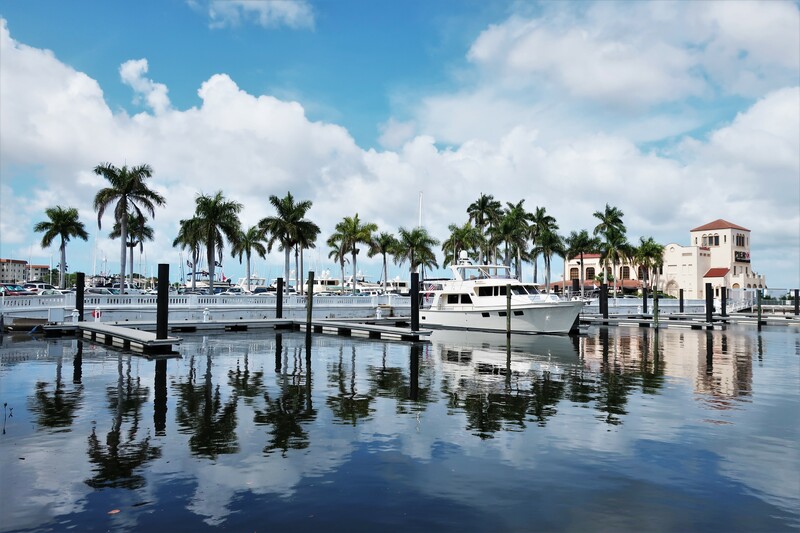 There is a lot of money in this part of Florida, and where the rich and famous reside one finds many high-end automobile dealers. 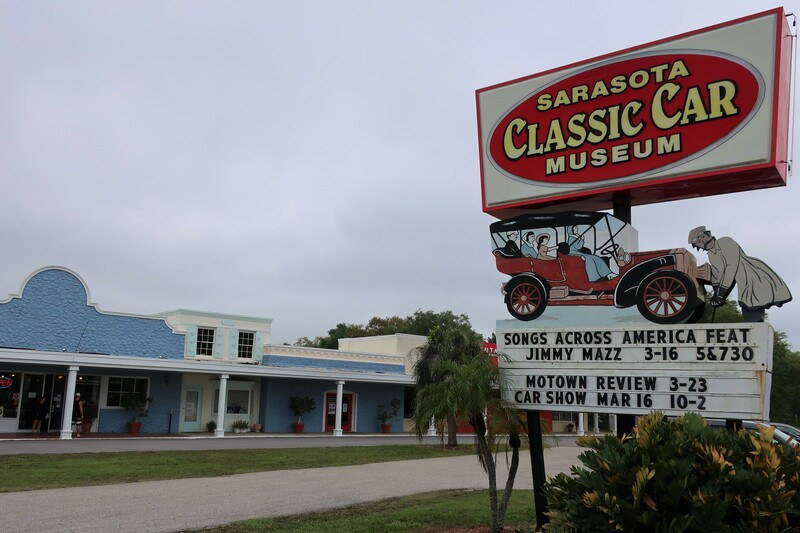 However, if the moneyed set want something more unique and classy, they head for Vintage Motors of Sarasota…a classic and collector car dealership where the “Deal of the Day” routinely sits out in front to lure prospective buyers, and tire kickers, into their showroom. Just inside the dealerships front door rests this beauty! 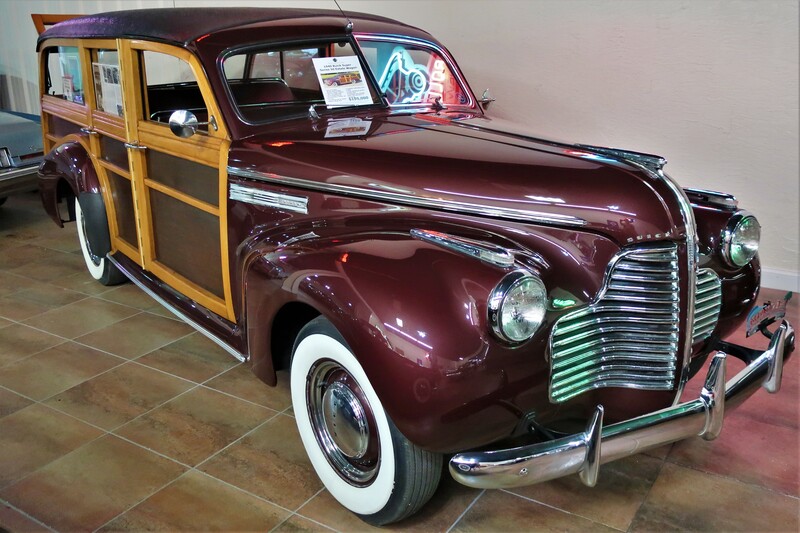 Woodies, such as this1940 Buick Estate Wagon, are my personal favorite type of antique automobiles. 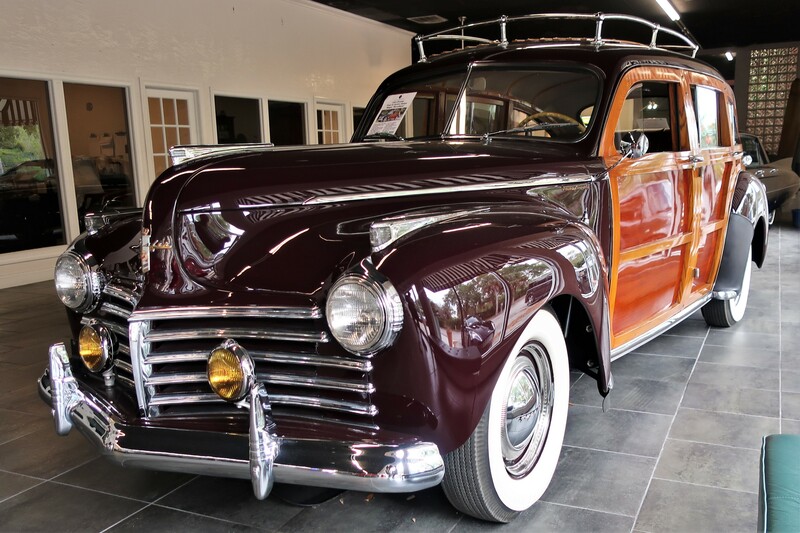 This gorgeous fully restored wagon is one of only twelve documented 1940 Buicks know to exist and therefore demands a purchase price of $195,000.00. 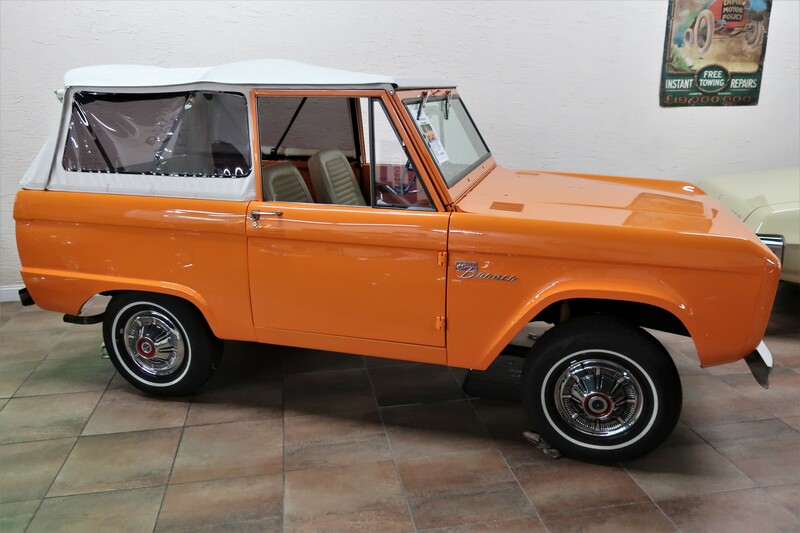 Of all the expensive collector cars in inventory, there were a few more pedestrian models on the showroom floor such as this 1966 Ford Bronco Roadster. This version of Ford’s venerable Bronco 4X4 came with no top or doors, although both were an option, and the windshield could be folded flat to the hood for a true open-air off-road vehicle. The fully restored Bronco had a price of $49,000.00…ten times its cost when new! 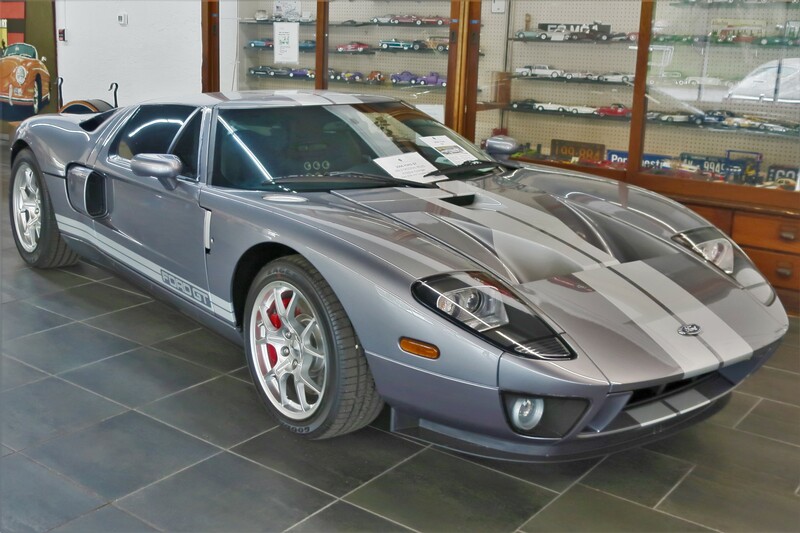 At the other end of the price spectrum was this 2006 Ford GT. The Ford GT was inspired by the GT-40 race car of the mid 1960’s that won the 24 Hours of Le Mans four years running. This street version was designed with the assistance of Carroll Shelby and sold in 2006 for $139,000.00. 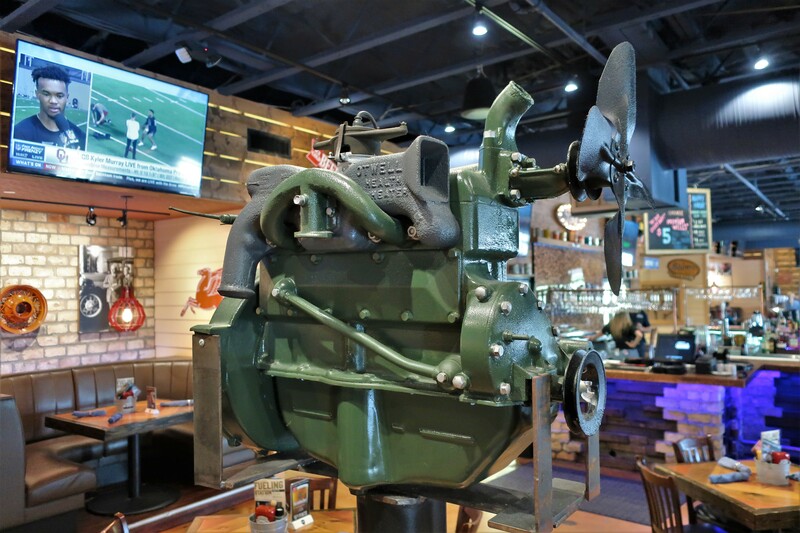 The mid-engine 330 CID supercharged power plant produced 550 horsepower for a 0-60 time of under four seconds. The sticker on this beautiful, well cared for vehicle, with under 500 miles on the odometer, is a mere $369,900.00. 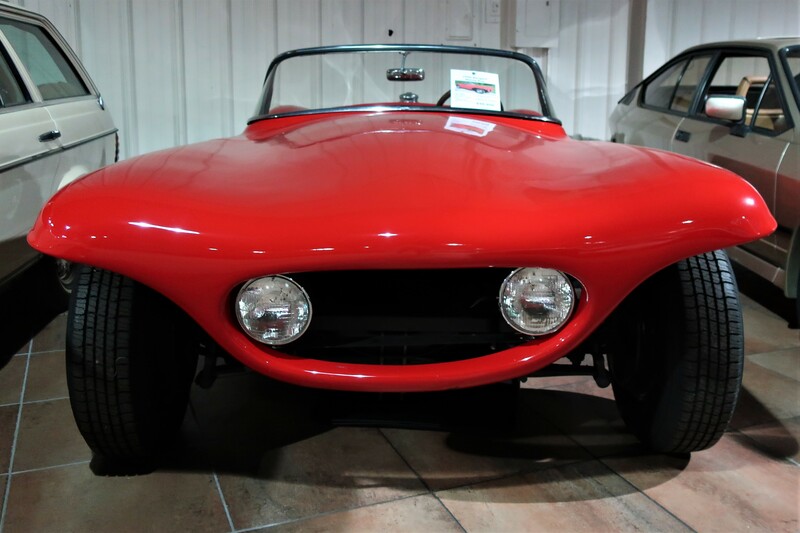 Another rather unusual sports car for sale was this 1956 Bangert Manta Ray. Designed by a 20-year-old Noel Bangert to be made of fiberglass and dimensioned to fit on many European sports car frames of the day, the Manta Ray was likely the first Kit Car. This restored example, of which there are only four known to exist, is offered for $49,000.00. As an interesting side note, Noel Bangert got out of the car business, moved to Hollywood and entered the movie industry…to his credit is the classic horror film The Exorcist. Then there was a rather plain looking Mercedes sitting on the showroom floor. 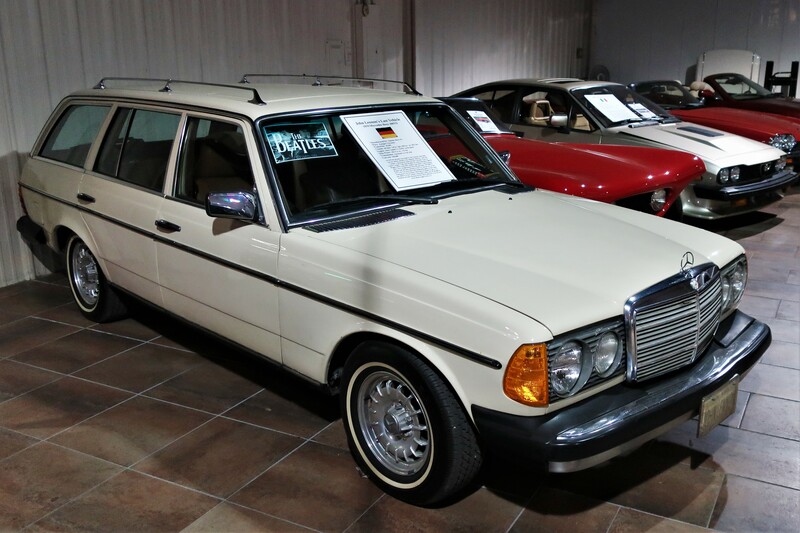 This 1979 Mercedes-Benz 300TD with a turbo-diesel power plant was the last vehicle owned by John Lennon and was not for sale. 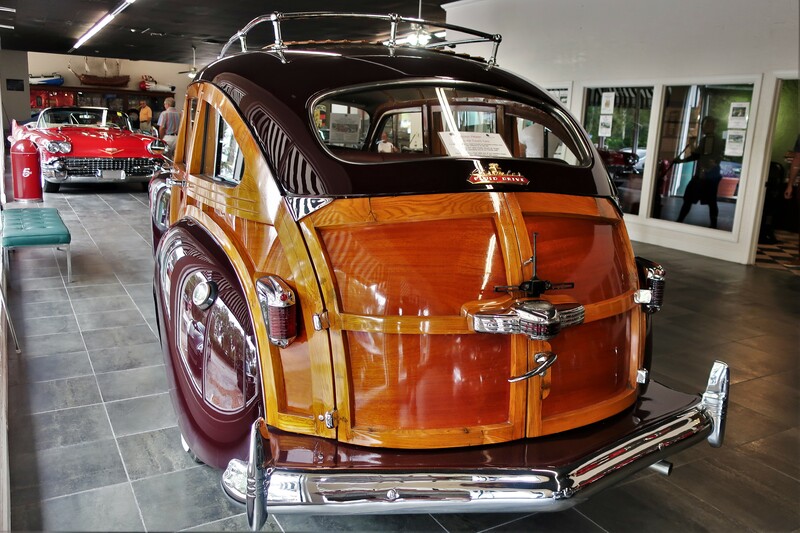 My personal favorite vehicle, that was for sale, is this 1941 Chrysler Town and Country…know as a “Barrel Back”, for obvious reasons. Wood bodied station wagons of the late 1940’s were viewed as upscale vehicles and demanded higher prices, so many auto manufactures added wood paneling to their passenger cars as well. With only twenty-three examples of this vehicle know to exist, this gorgeous and extremely rare example is listed at $384,900.00…making it the most expensive vehicle on the showroom floor. 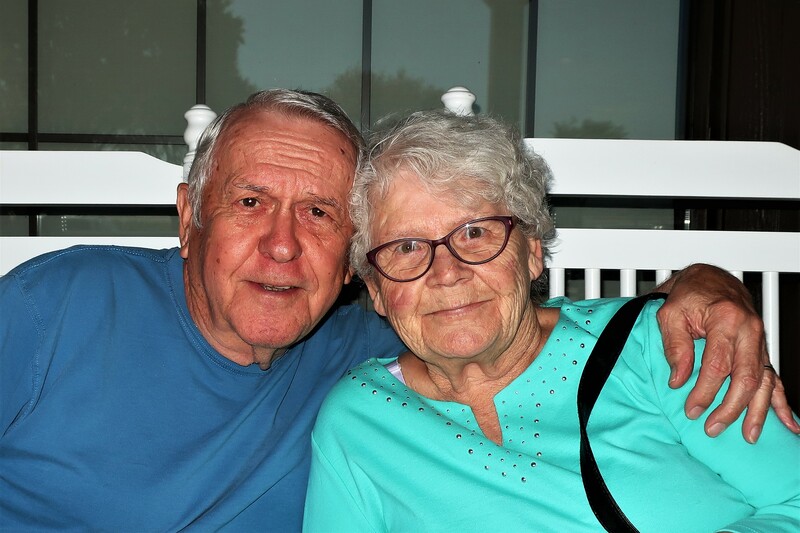 Well, it’s time to close this chapter of our Florida adventure, but not before thanking these two fine folks for their companionship and decades long friendship. Thanks, Sterlin and Pat…looking forward to seeing you around the Lake District this summer! 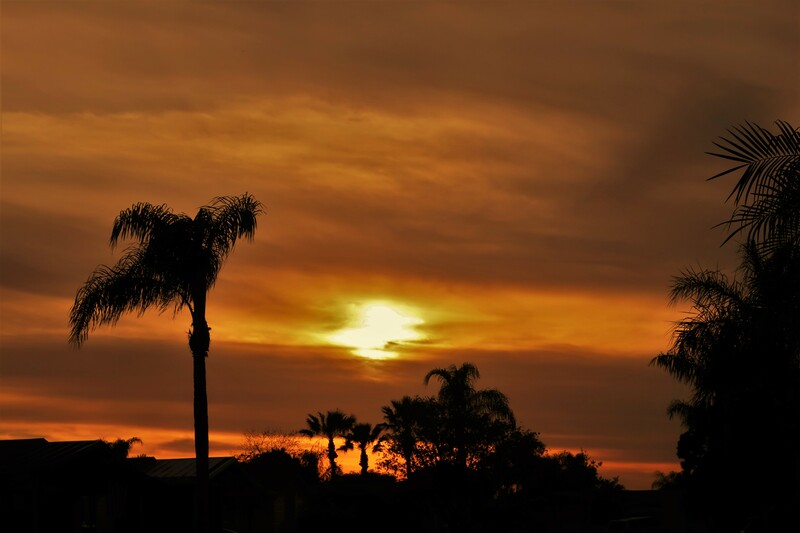 And lastly, one final sunset that didn’t fit anywhere else, but I wanted to post it…so here! 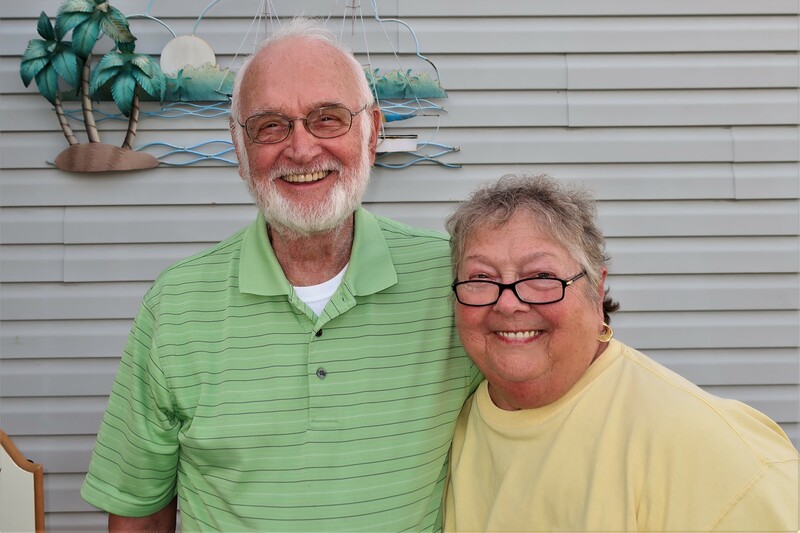 Kit’s Bit’s: Well, other than “tagging along”, (and, occasionally escaping) looking at cars, we had a wonderful time with Pat & Sterlin. It was great to see their winter home and meet some of their friends. We went to an auction at the Club House which included dinner and was fun. We also spent a lot of time catching up on things which we haven’t had much time to recently. Spent some time with David & Betty, too. Catching up on things in their life and remembering old times when we first met, in 1977. Each of our 3 kids are about the same ages as their 3 kids, so, it’s always nice to catch up on their activities. This entry was posted in 2019 Excellent Adventure. Bookmark the permalink. You never fail me with the gorgeous sunrises and sunsets!….Colony Cove sounds like a great spot to spend some retirement years….You find the best spots to eat…the Model A restaurant was unique and very interesting….I was quite surprised at some of the futuristic-looking designs of some of those antique cars in the museum…. 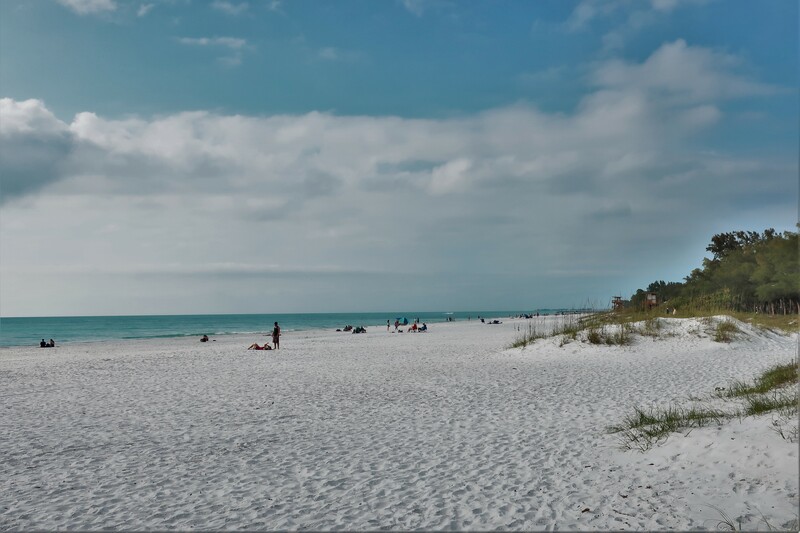 The Sarasota looks like an inviting vacation destination..so much to offer and so much to eat!! 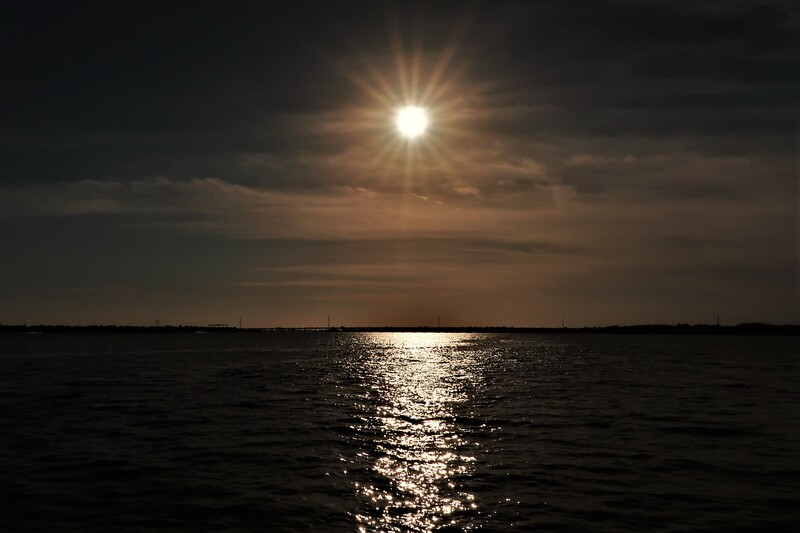 Sarasota was nice with lots to see and do. However, it was unbelievably crowded with locals, tourist, and snowbirds on the move making it an issue to get around. Still Kit and I had a great time visiting there! 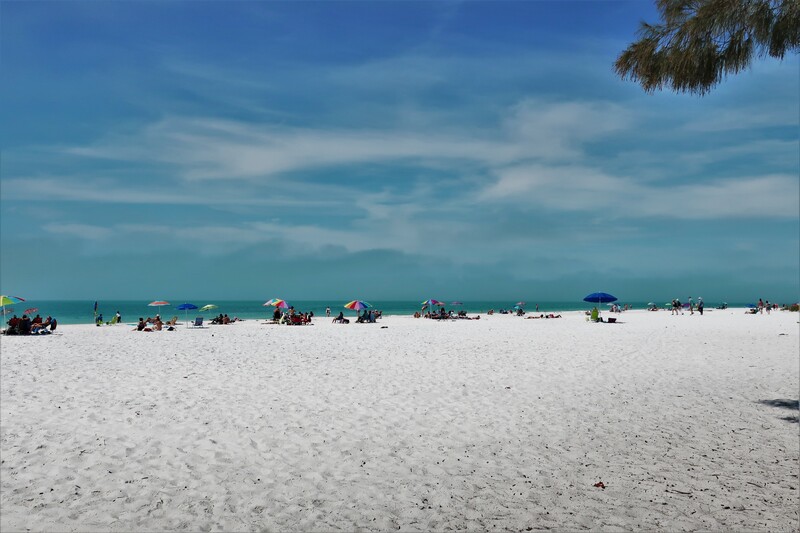 18 miles south of Sarasota is a much quieter town, Venice Isles —That is our chosen place in all of FL. Hi Frank, thanks for leaving a comment on the website! 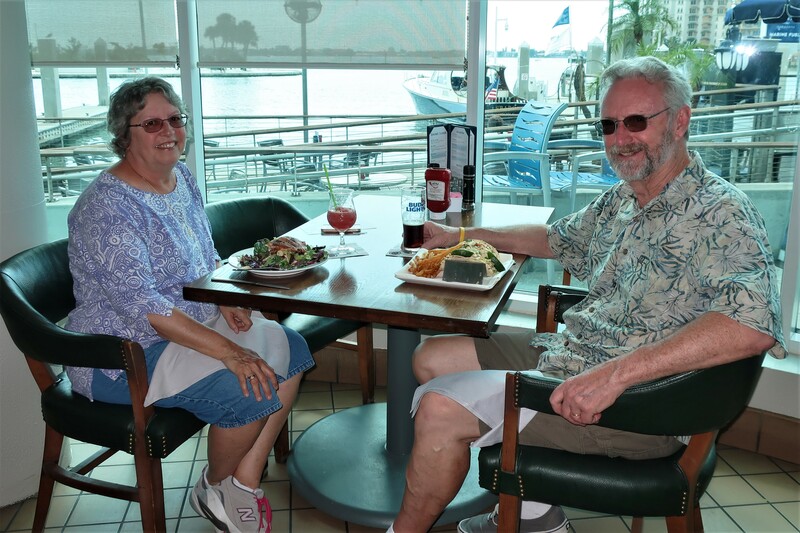 We remember you mentioning that Joey had performed regularly at Marina Jacks, so that was one reason we choose to eat there…as you know, its a really nice place with great food! So glad we got to spent time together‼ Actually more than all last summer in Maine! 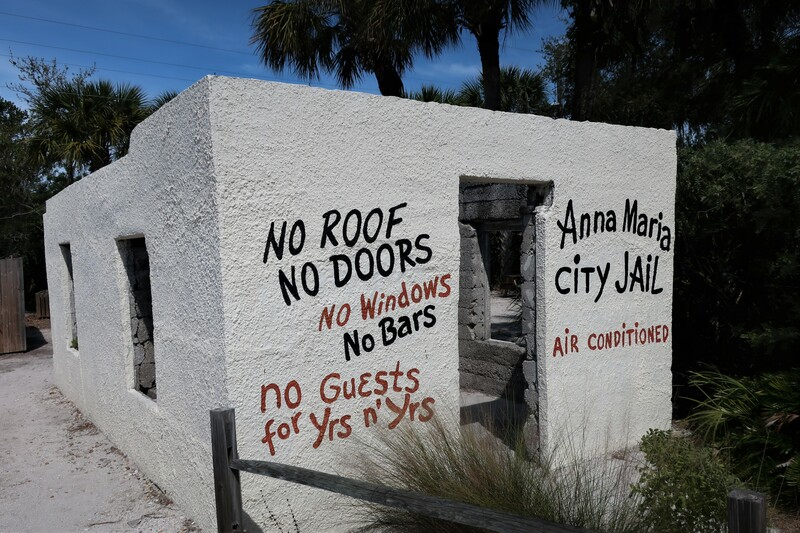 Didn’t realize you got to see the old open air jail, etc the day you went to Anna Maria. I had wanted to tell you about it but couldn’t tell you how to get there. Hi folks, Kit and I thoroughly enjoyed visiting with you and appreciate the time spent showing us about your nice winter hometown. Looking forward to seeing you often at the lake this summer! Well, I’ve learned more about odd cars and fancy foods than I can possibly remember. Odd cars and fancy foods…or, fancy cars and odd foods…that’s my forte! A MOST INTERESTING JOURNAL! THE ANTIQUE CARS ARE ALWAYS A FAVORITE, BEING I AM AN ANTIQUE. TO DATE THEY HAVEN’T PUT ANY PRICE TAGS ON 1934 MODELS. 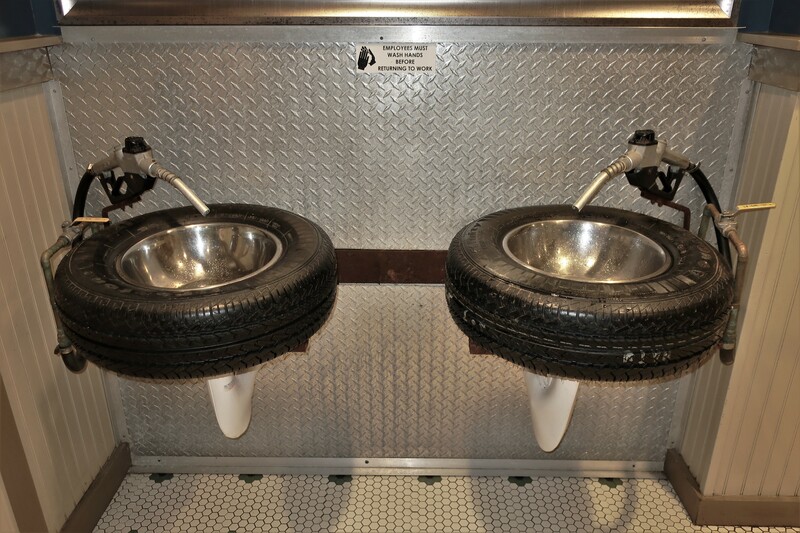 NO QUESTION, THE FORD MODEL A RESTAURANT IS PRETTY UNIQUE AND MY FAVORITE SEGMENT OF THIS JOURNAL, THE LAVATORY WITH THE SINKS SET INTO TIRES AND THE GAS PUMP FILLER NOZZLES FOR FAUCETS ARE ONE OF A KIND. BACK WHEN I WAS A KID LIVING IN WHITEFIELD, MAINE BOTH GENERAL STORES HAD SIMILAR TYPE FUEL PUMPS. I HAVE USED A SIMILAR DESIGN TO PUMP FUEL USING A HAND CRANK FILLING UP MY 29 MODEL A ROADSTER. FUEL AS I RECALL WAS LESS THAN 25 CENTS A GALLON. 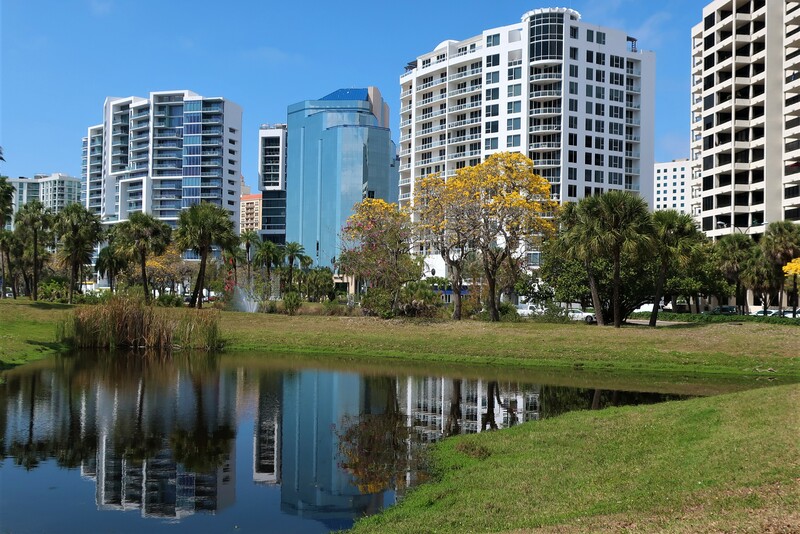 THE SARASOTA AREA IS CERTAINLY A BEAUTIFUL PART OF FLORIDA AND YOU SEEM TO HAVE HIT THE JACKPOT ON THE WEATHER! FIFTIES HERE TODAY AND WE’RE HAVING OUR FIRST COOKOUT! 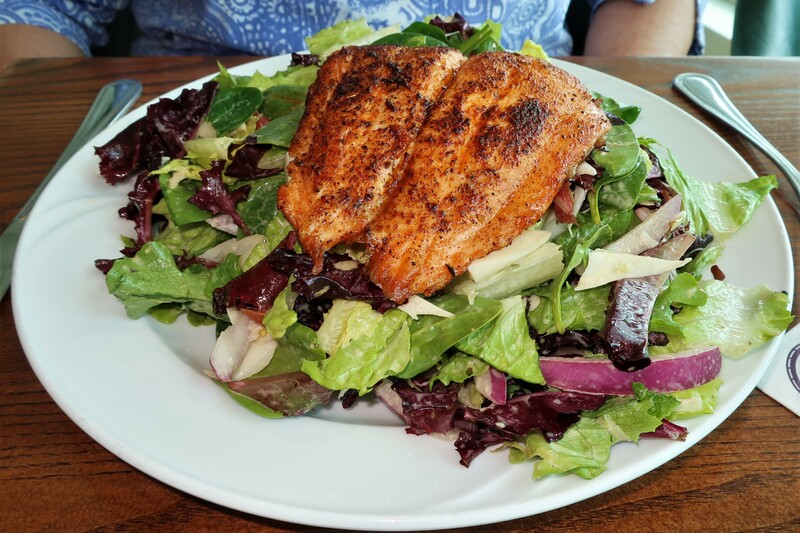 HAD LUNCH/DINNER AT THE MUDDY RUDDER IN YARMOUTH YESTERDAY, FOOD IS EXCELLENT, WE’LL HAVE TO GIVE IT A TRY WHEN YOU RETURN. 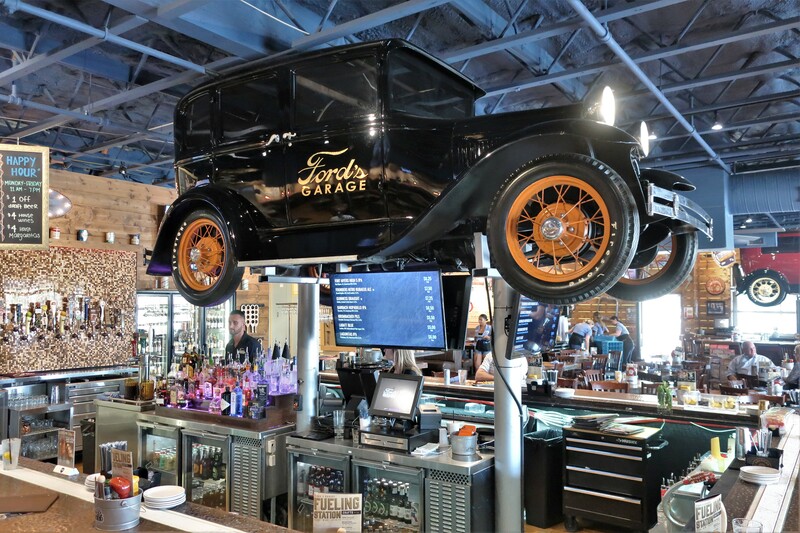 Ford’s garage was a unique dining experience…nice old cars and great food, what’s not to like! Thanks for the comments about your personal Model A experience. Not sure if you know this but we have a Model A, so next time you’re near our home give us a call and I’ll take you out for a spin in her!